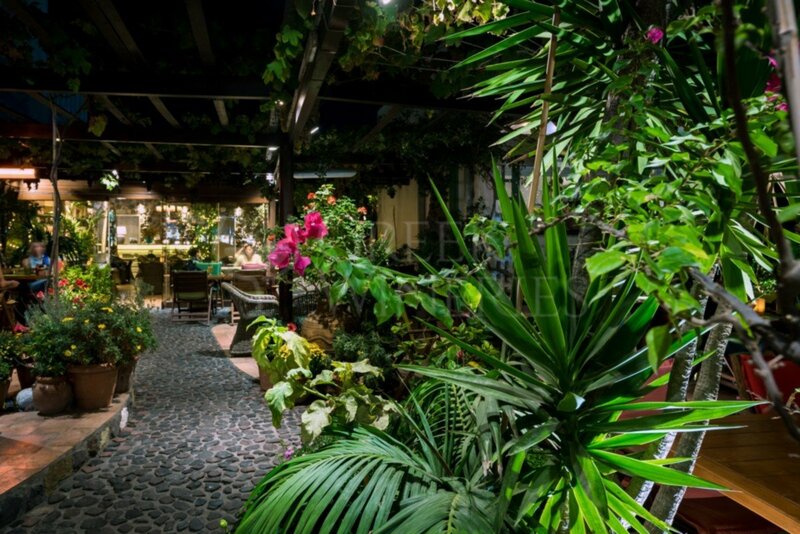 At the center of the town of Fira, in our old garden filled with palm trees, pergolas and flowers, we have created a space to relax and enjoy a coffee, a drink or a meal. 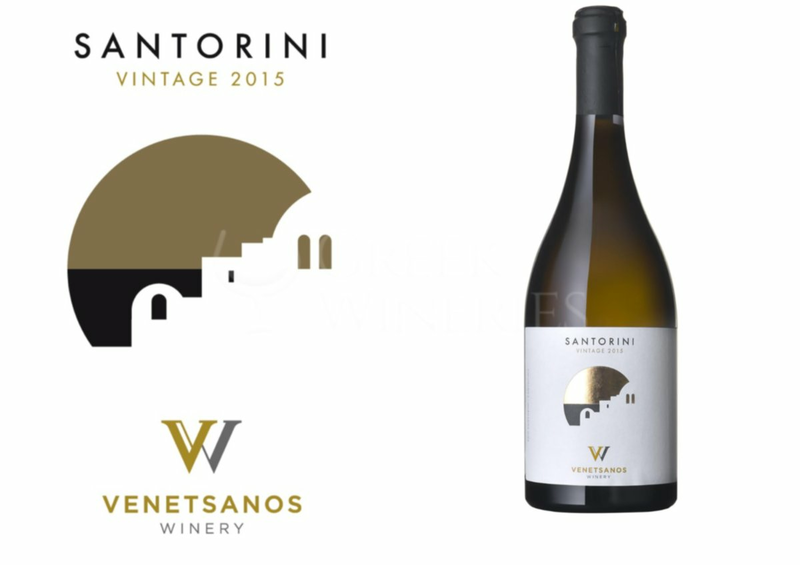 Ten meters below the garden, inside a 400 year old vaulted cave, is our wine cellar which stores more than 480 different wines selected from Santorini, from Greece and from around the world. 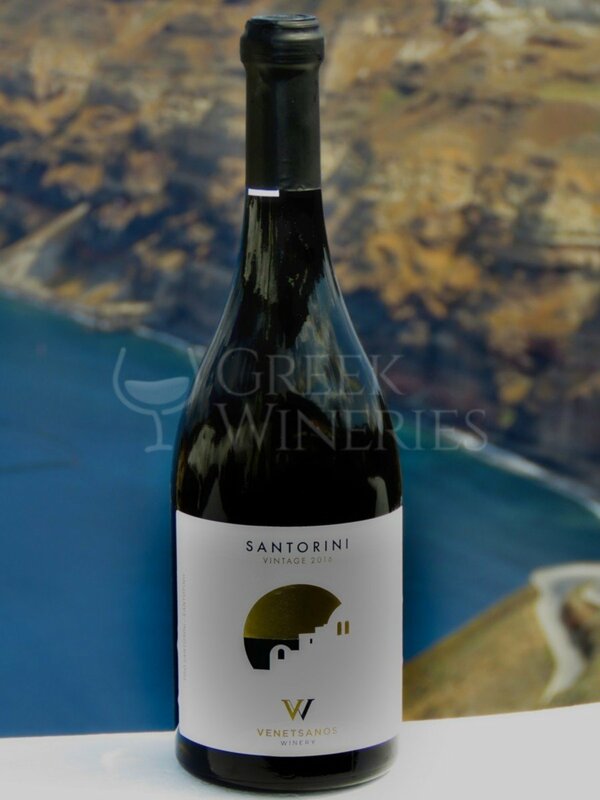 Come and join us in our wine cellar for a tasting of Santorini’s distinctive wines accompanied by local and Cycladic cheeses and browse our stellar collection of wines for purchase. 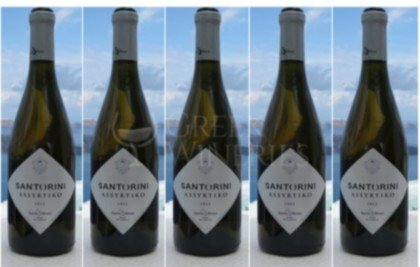 for a tasting of Santorini's distinctive wines, accompanied by local and Cycladic cheeses, and browse our stellar collection of wines for purchase. 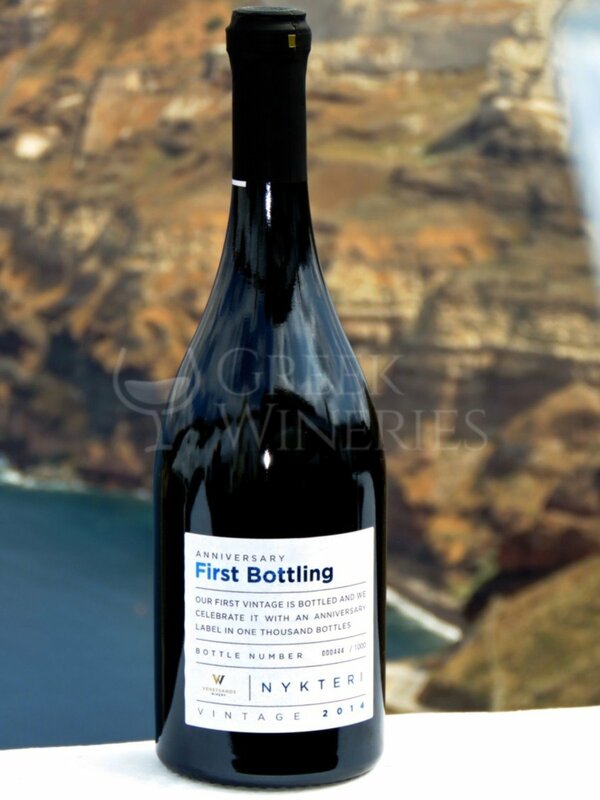 To book a tour or a wine tasting please contact us. 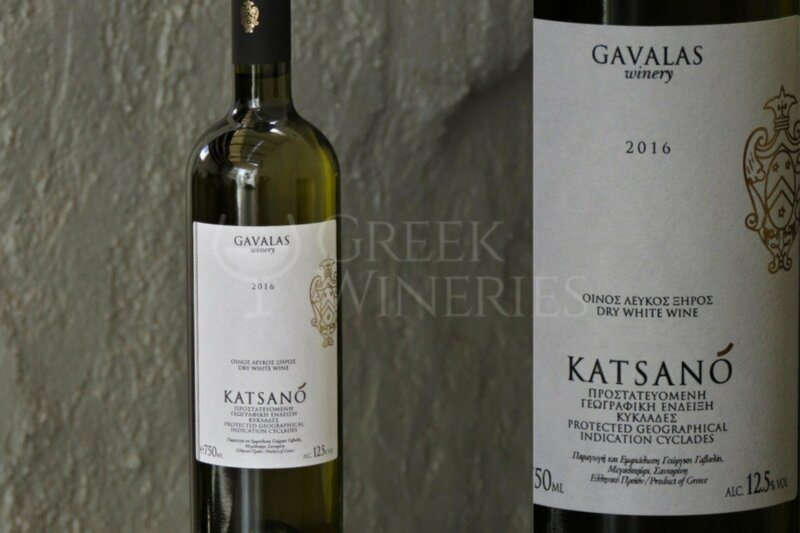 Gavalas Katsano, is exquisite wine is the result of George Gavalas’ love and devotion to wine-making and his continuous effort to revive the rare, indigenous grape varieties of Santorini. 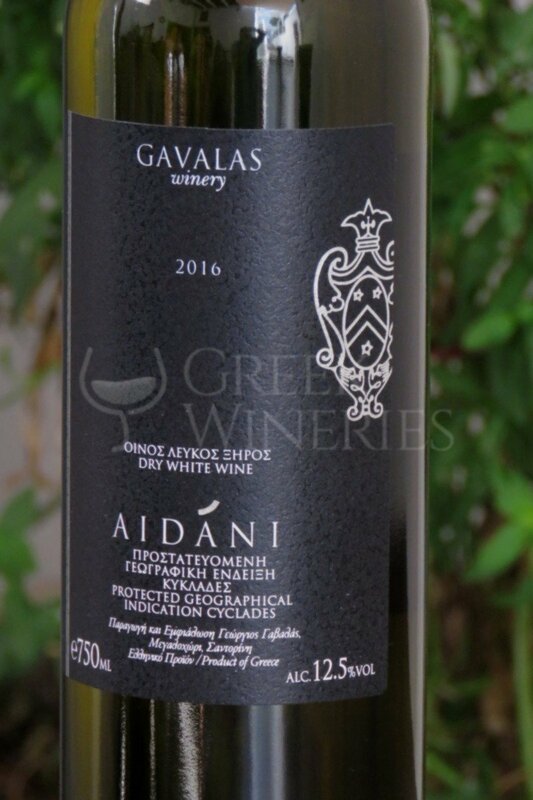 It is a blend of 85% Katsano and 15% Gaidouria, both grape varieties little known outside the island, as they only cover 1% of the total vineyard. 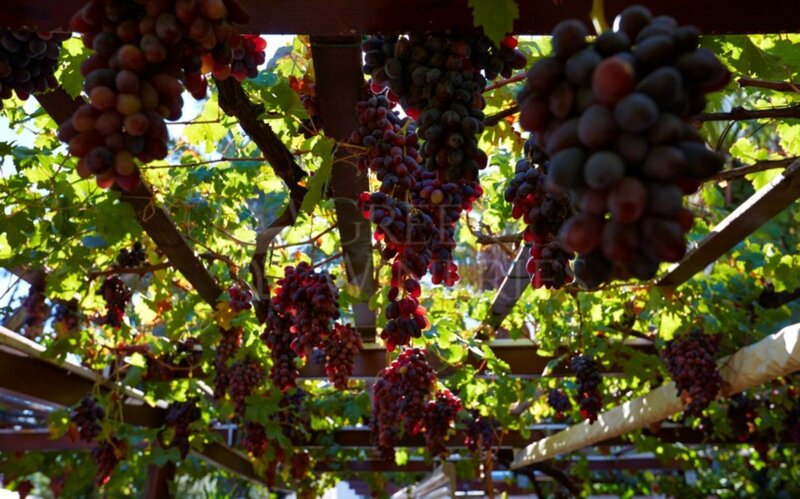 The harvest commences in early August so that the grapes may be collected before they are fully ripe. Gavalas’ Katsano is a dry white wine possessing green highlights and a nose of sweet aromas of flowers, honey and lemon blossom. 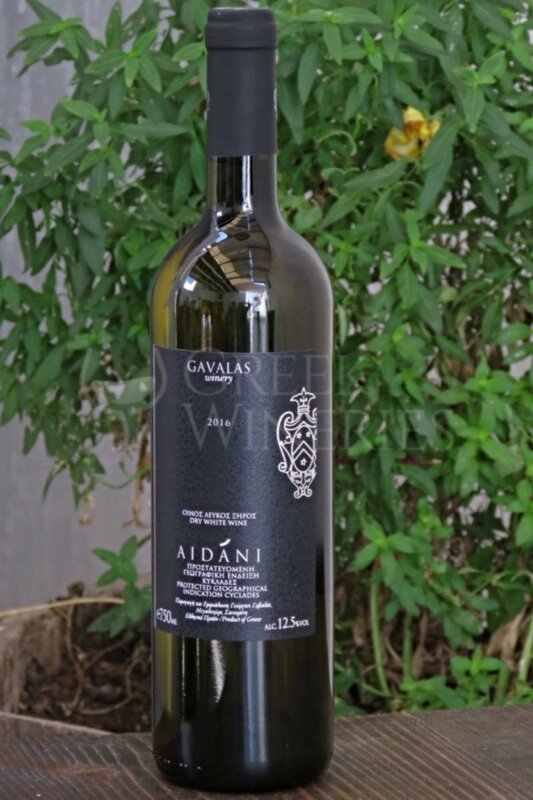 On the palate it develops a rich taste with an exceptional balance, pleasant acidity and a long after taste. 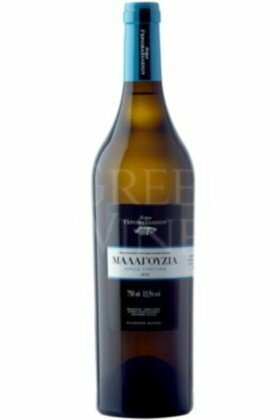 It accompanies superbly all seafood and white meat dishes with light sauces. 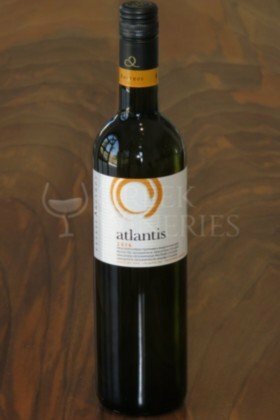 It is best served at 12oC. 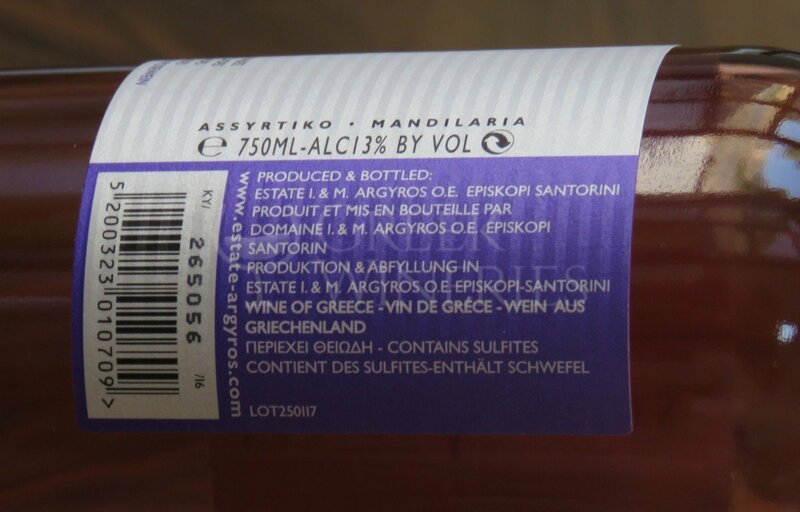 The production is strictly limited. 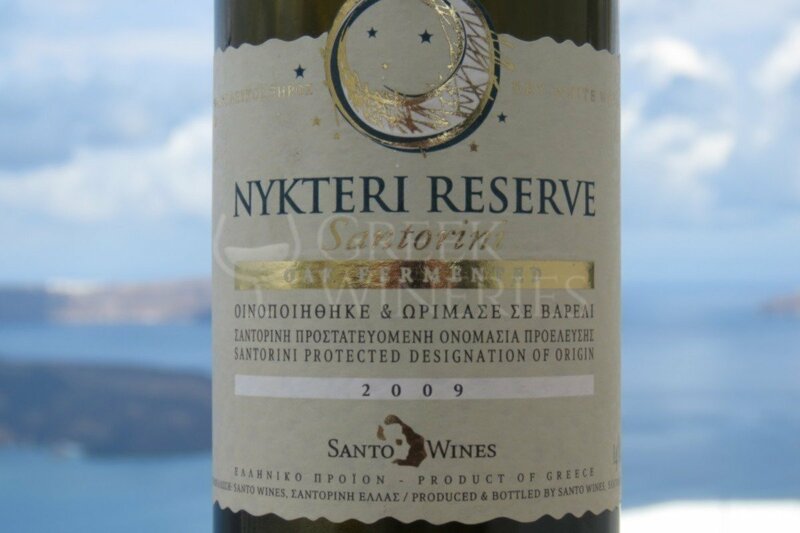 Gavalas Nykteri Protected Designation Of Origin SANTORINI Dry White Wine Nykteri is the traditional white wine of Santorini, which is produced from extra matured Assyrtiko grapes. 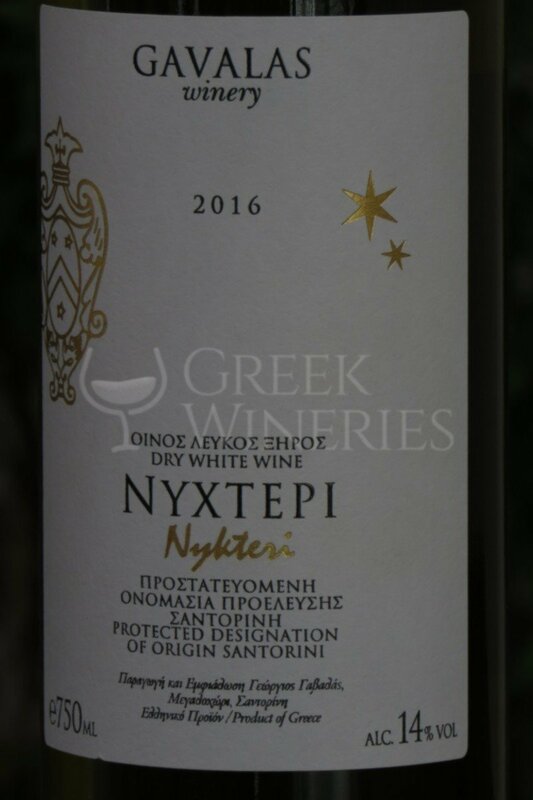 Its designation comes from its traditional wine-making, as in the past the harvest took place during the day and the stomping of the grapes during the night. 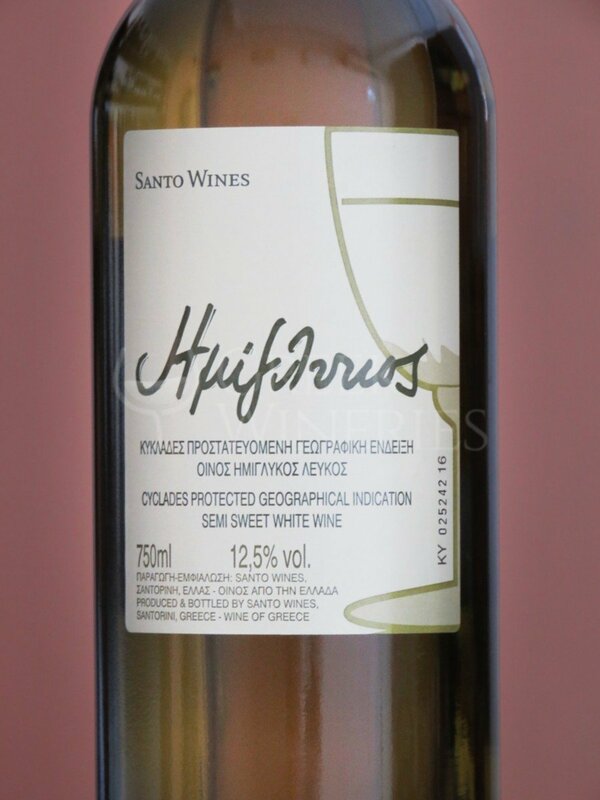 It is characterized by high alcohol (more than 14%), remaining sugars and long aging in oak barrels. 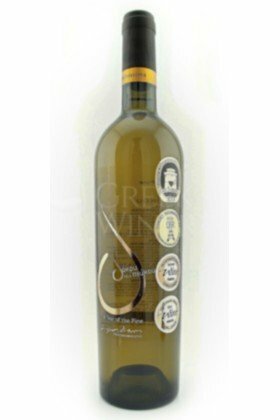 Its colour is gold and its nose of pear and jasmine. 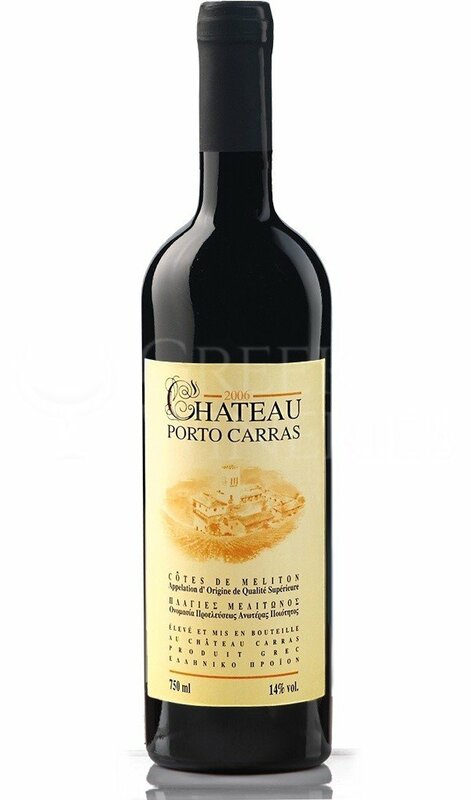 It is full-bodied and it can be aged for at least 7-8 years. 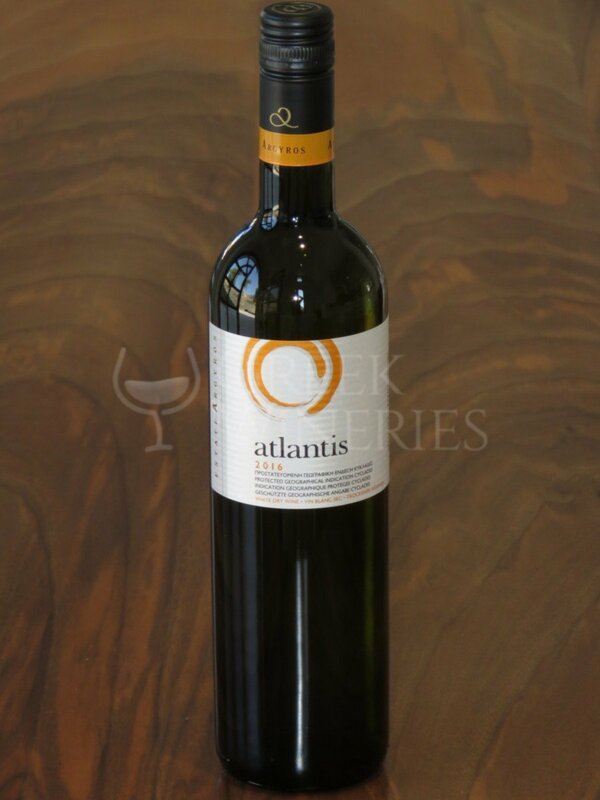 Perfectly paired with grilled and white meat, grilled squid, intense spicy flavors and fatty fish. 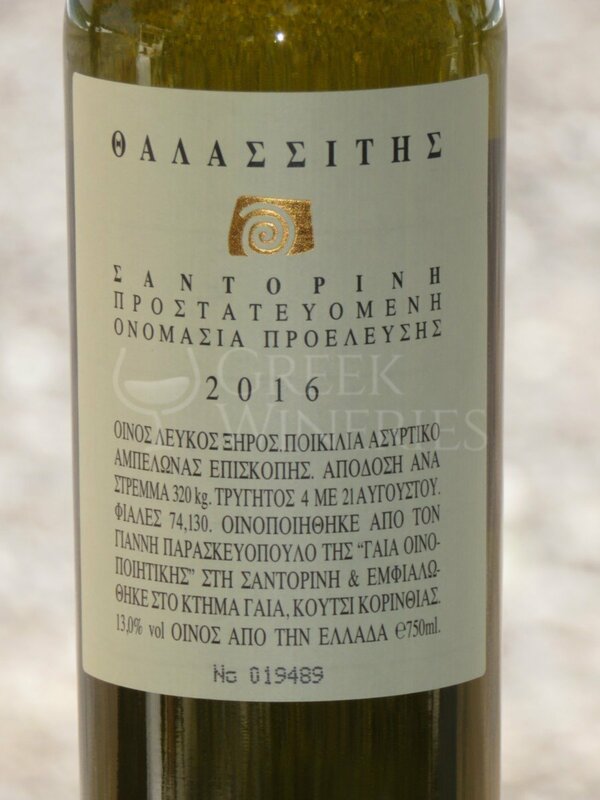 Best served at 12-14oC. 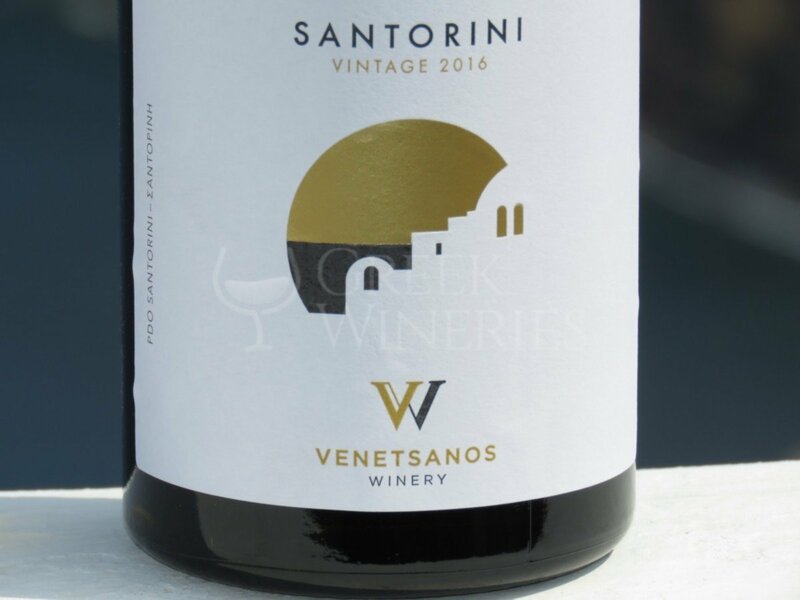 Santorini Barrel. 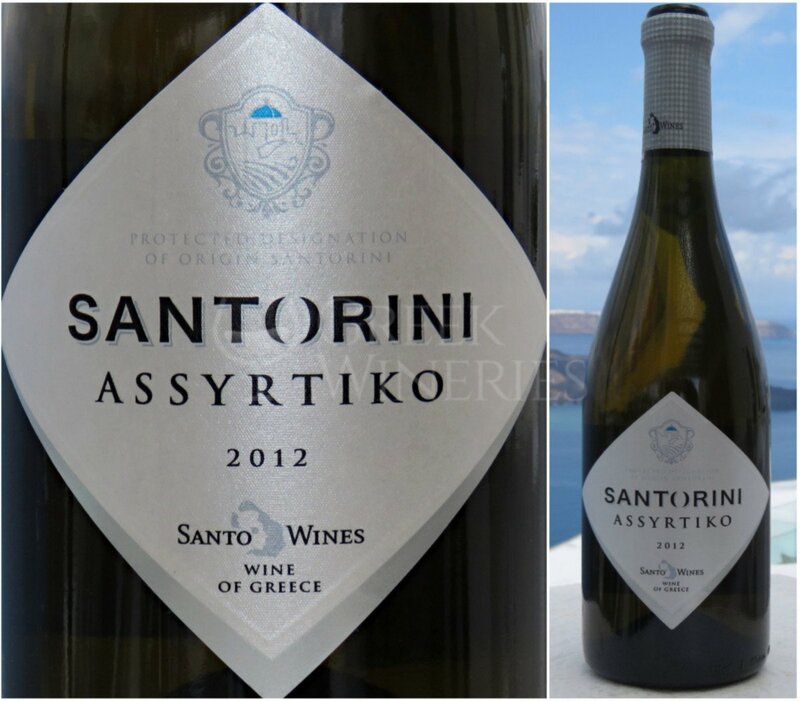 Appellation of Superior Quality «Santorini».Assyrtiko 100% Dry White Wine. 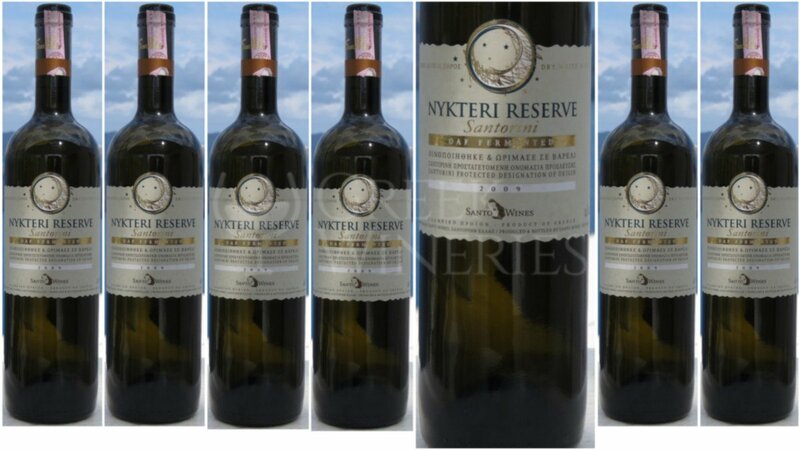 Fermentation in French oak barrels and ageing of the wine with wine lees for approximately 6 months. 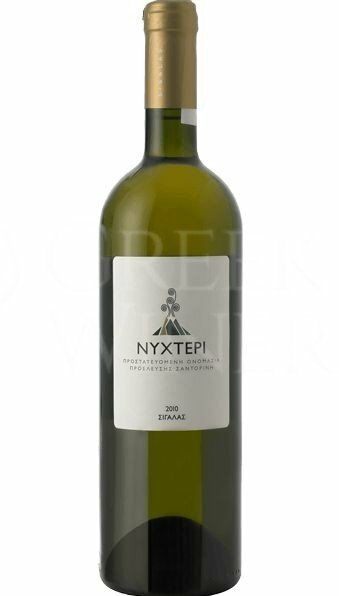 Bright gold and blonde color, with discreet presence of wood with hints of citrus fruits, full and round refreshing taste with balance, good acidity and long aftertaste with a characteristic minerality, typical of the variety, at itΆs very best. 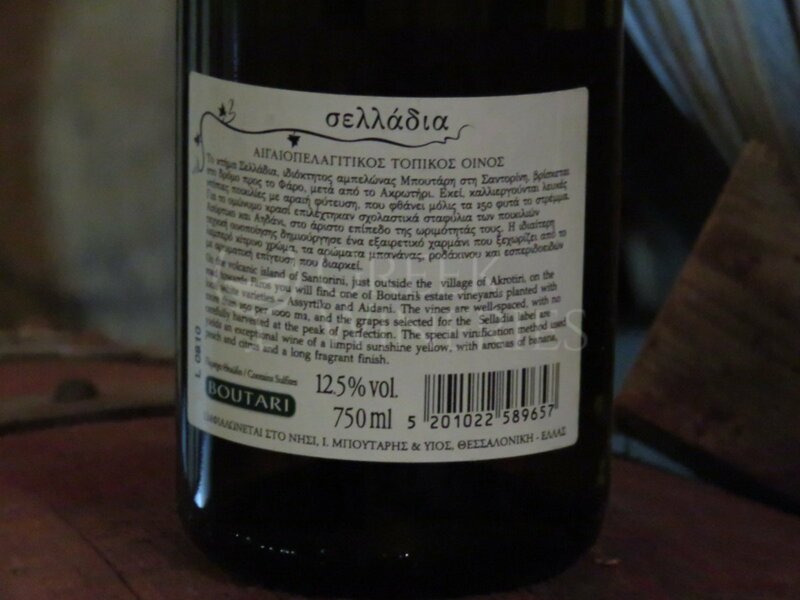 Ageing potential: Over 7 years. Fish and white meat with white piquant sauces, smoked cheese and smoked salmon. 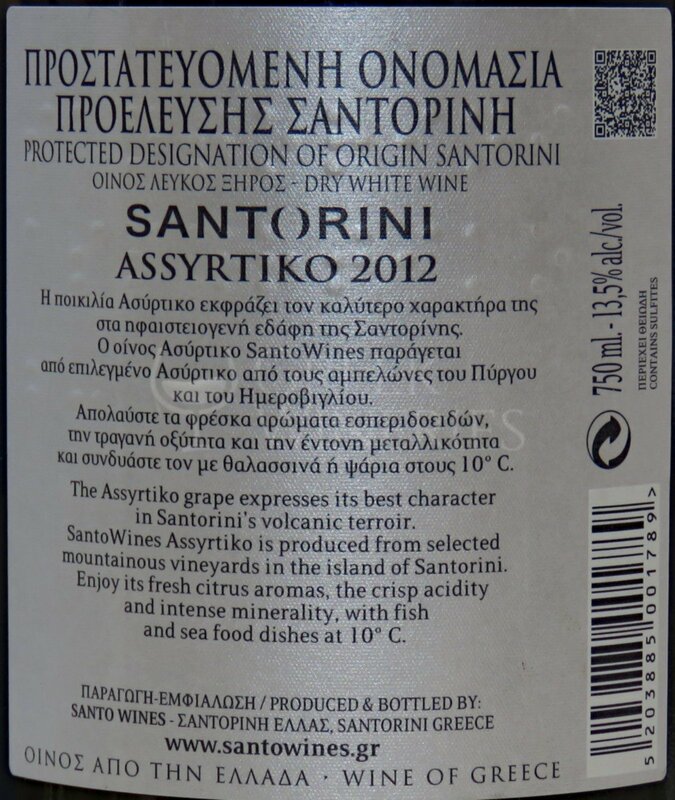 Served at 12° C.
Assyrtiko-Athiri-Dry White Wine. 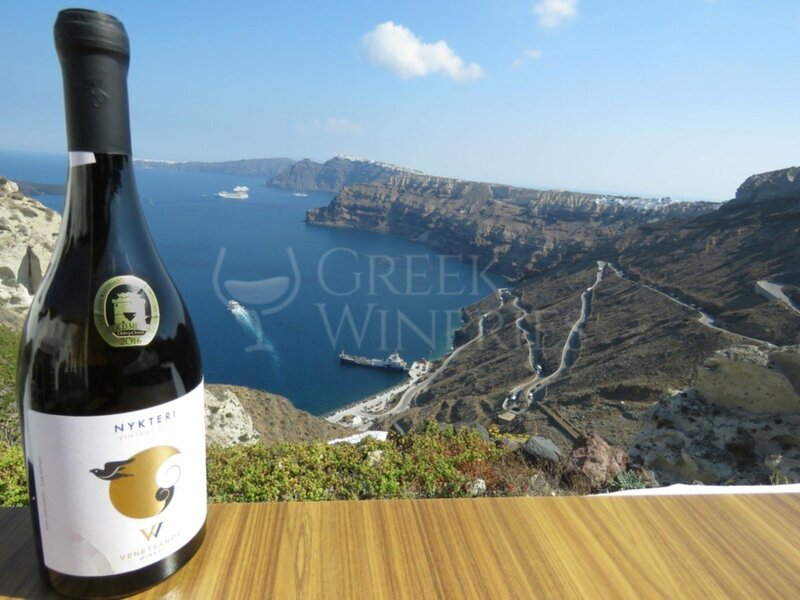 Appellation of Superior Quality «Santorini». 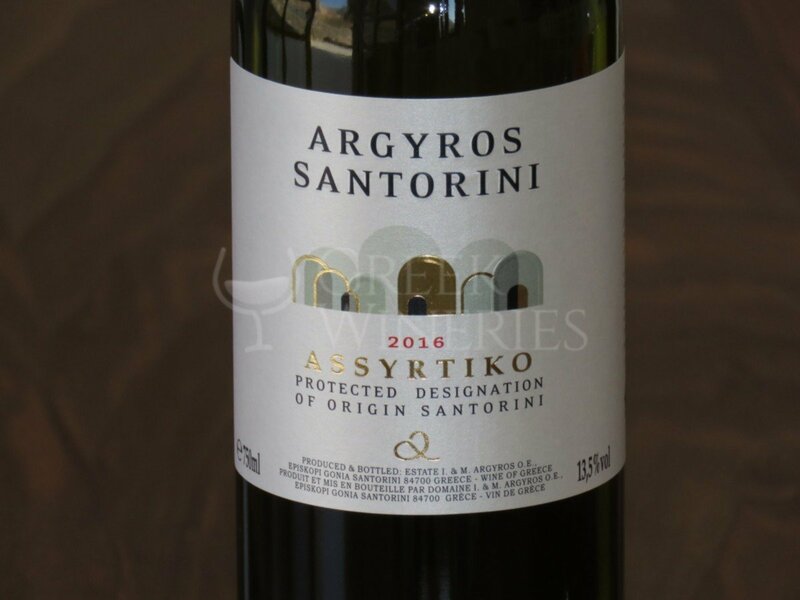 Assyrtiko 75%, Athiri 25% Fermentation in stainless steel tanks under controlled temperature. 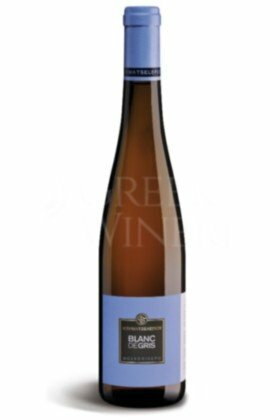 Colour straw blonde, bright, with a nose of ripe citrus fruit. 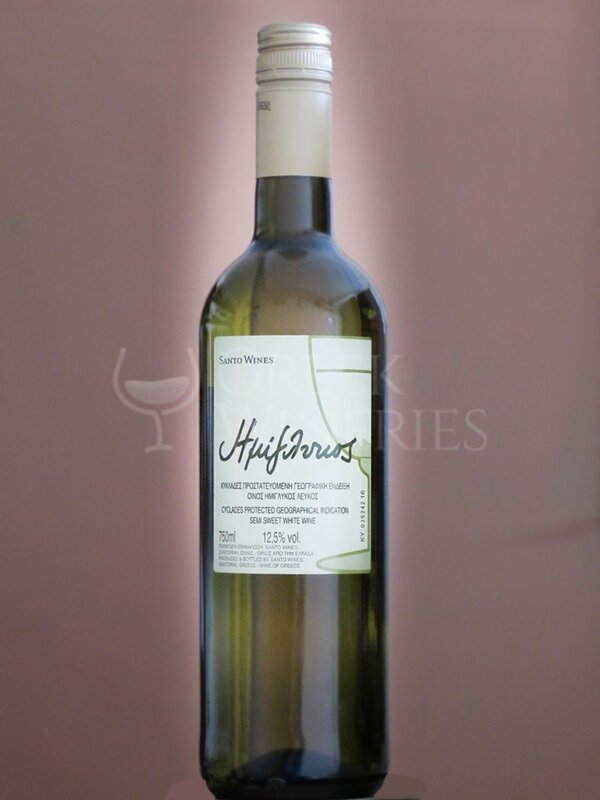 With refreshing acidity and a delightful after-taste. 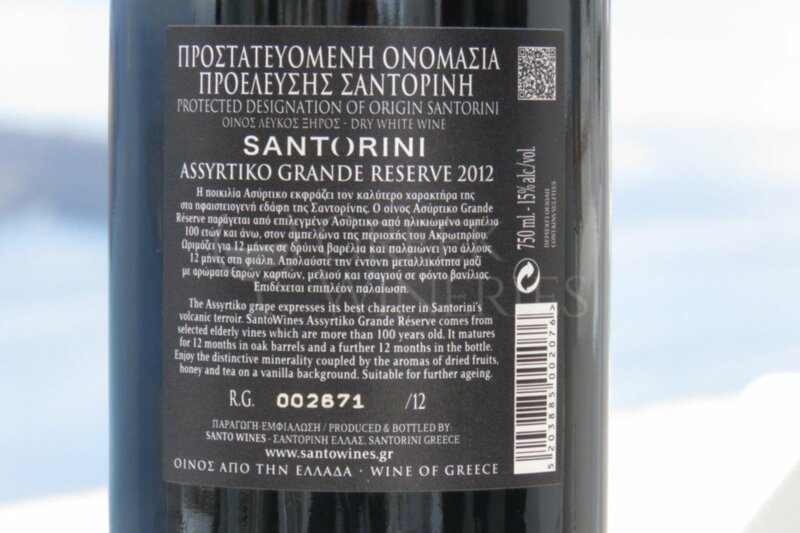 Ageing potential, Minimum of 3 years. 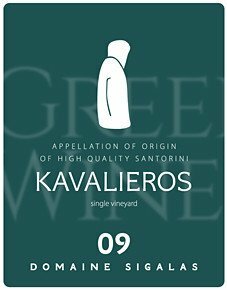 Serving Suggestions, Traditional Greek recipes. 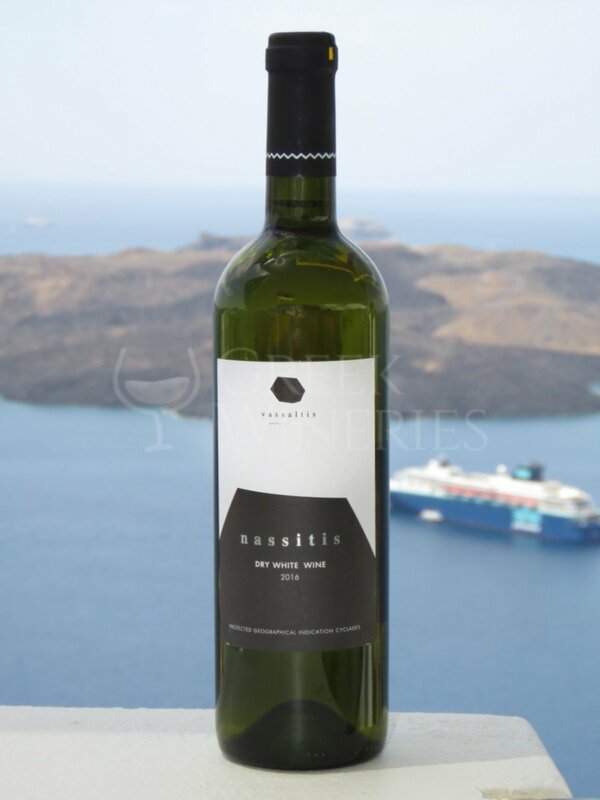 Served at 10 - 11° C.
THALASSITIS is produced from Santorini’s indigenous white grape variety, Assyrtiko. 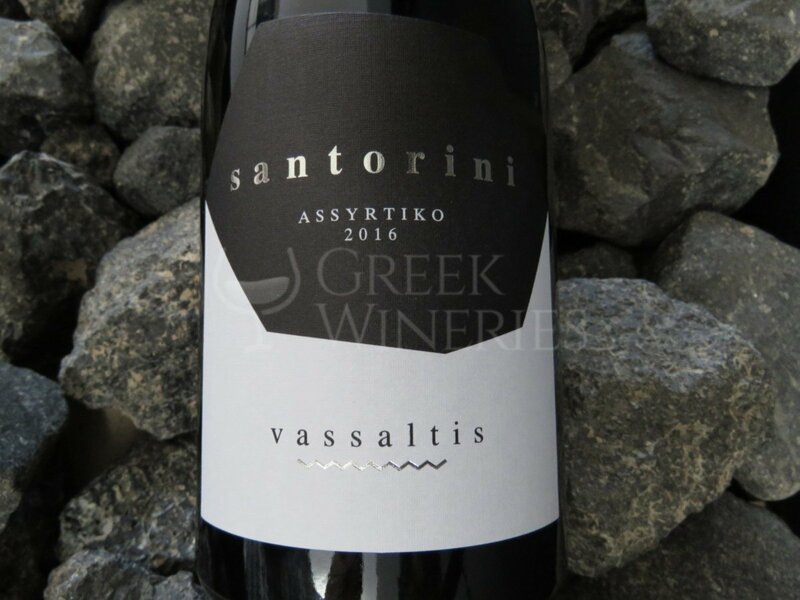 All the Assyrtiko grapes selected for THALASSITIS originates exclusively from vineyards in Episkopi, Akrotiri and Pyrgos regions. 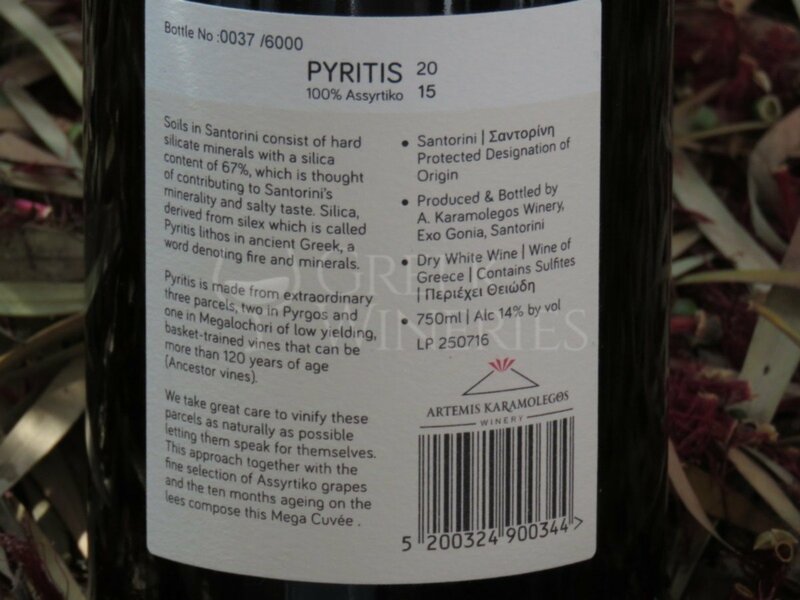 The vines are almost 80 years old and have a particularly low-yield that never exceeds 25 hl/ha. 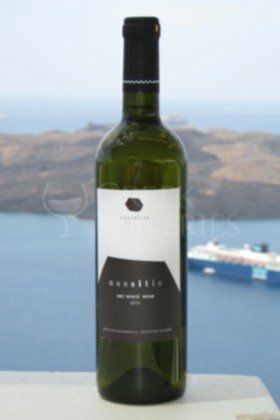 THALASSITIS is a bone-dry wine with strong character: full-bodied, well-structured with crisp acidity, distinctive minerality and delicate honeysuckle aromas. 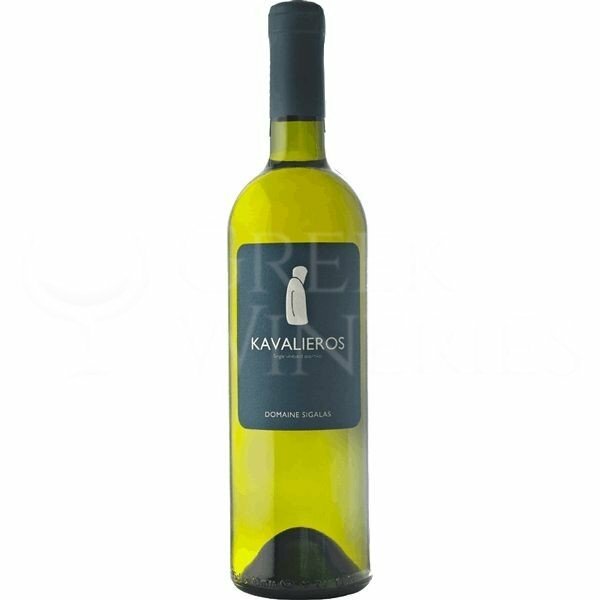 Its mineral dimension will subside while the fruity and honey aromas will expand. 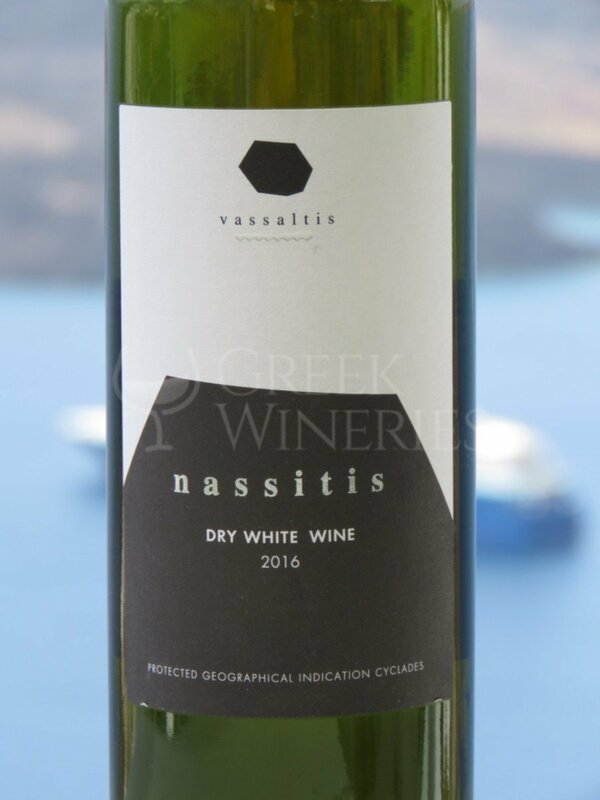 Don’t forget to pour Thalassitis into a wide decanter half an hour before serving. 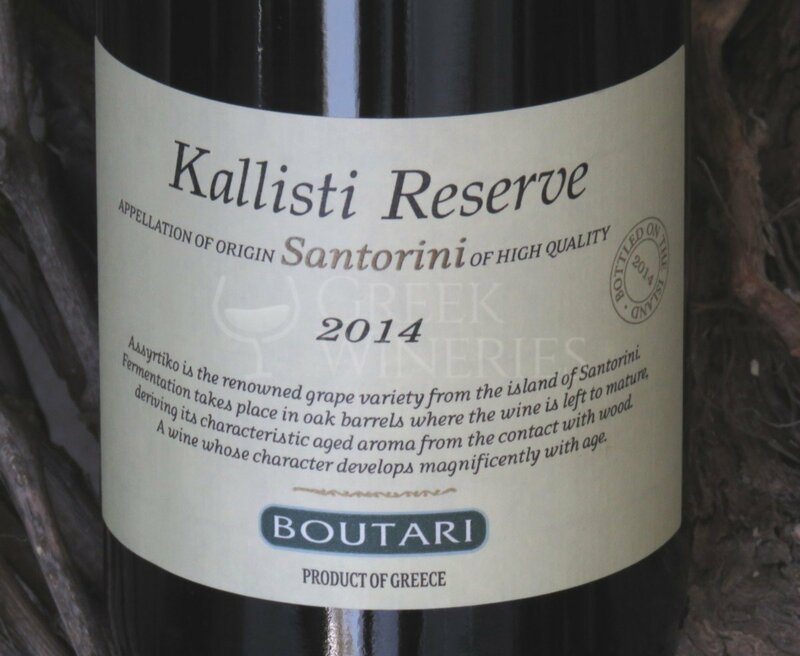 SANTORINI Boutari is a wine that not only promoted the vineyards of Santorini to the world, but also one of the most noble of Greek vitis vinifera varieties of the Mediterranean, Αssyrtiko. 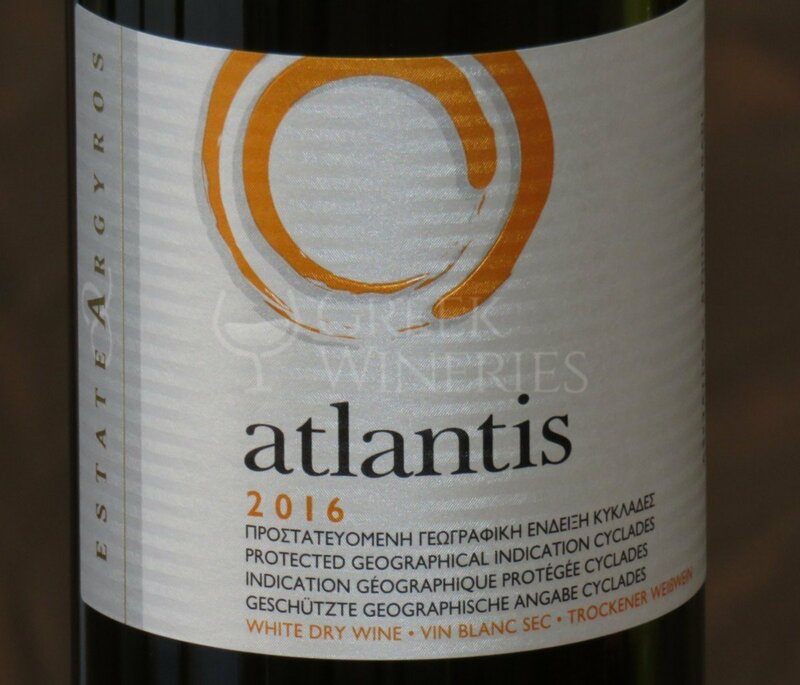 A wine with a particular metallic tinge that fully expresses the character of this variety.Classic white vinification.Yellow-white colour, with aromas of exotic and citrus fruits, green apple, peach and grapefruit. 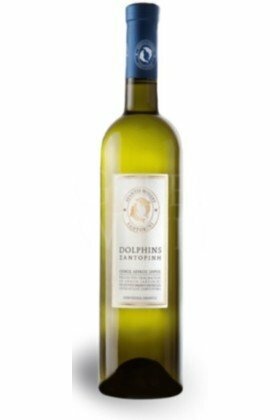 A refined wine, zesty, with an intense metallic character, a rich body, wonderfully balanced taste and a long and strong aromatic aftertaste.Combined perfectly with seafood and fish. 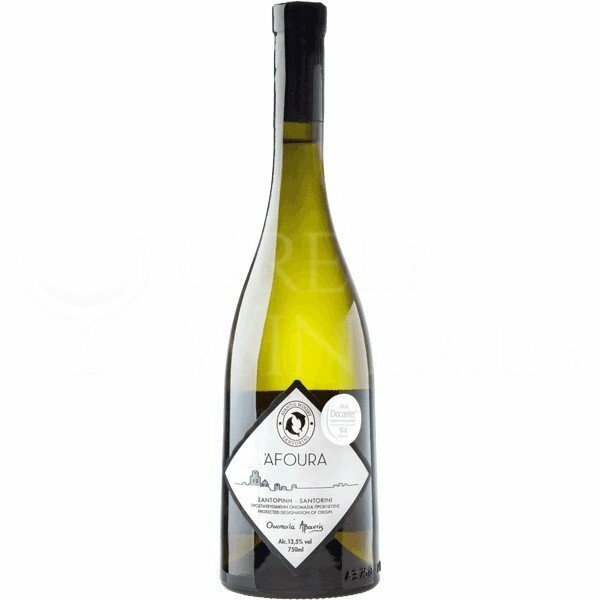 Can also be served with chicken and white meats. 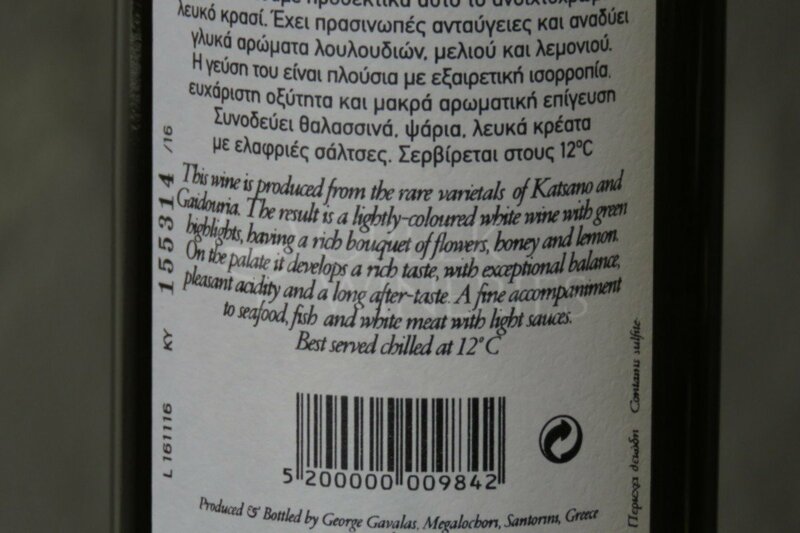 Served at 10-12°C. 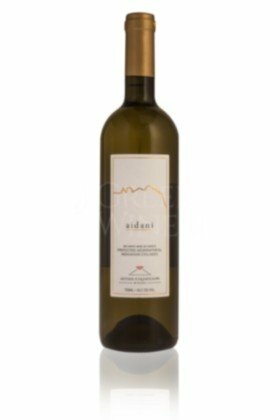 Aidani is a rate indigenous variety to Santorini with a rich, elegant bouquet. 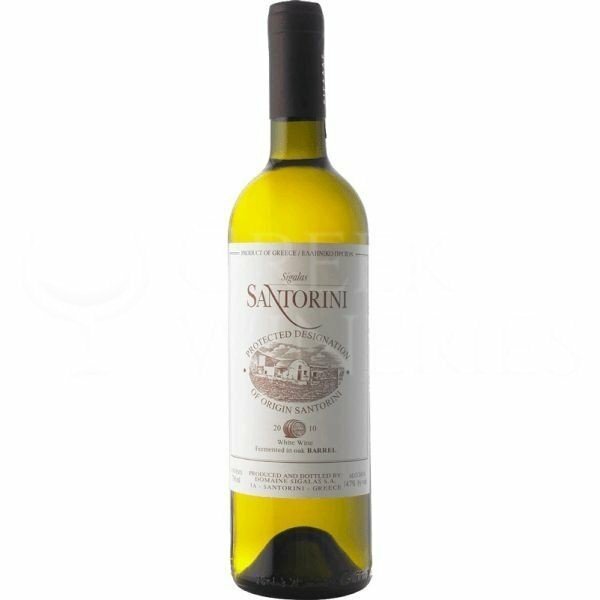 Delicious as aperitif and accompaniment of fresh salads, rice dishes, seafood and fish.Light yellow color, with elegant notes of tropical fruits, scented herbs and flowers. 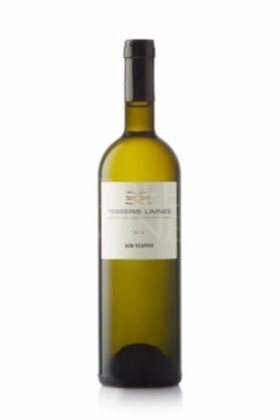 Silky texture, well balanced acidity and a refreshing aftertaste. Fermentation is done only in stainless steel vats. 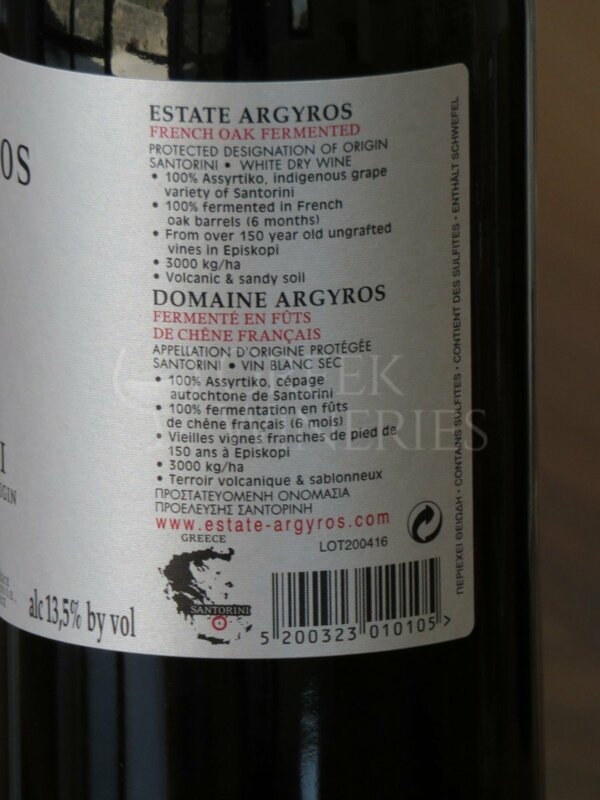 Suggested serving temperature: at 8-10° C. Best to enjoy: Young, any time of the day. 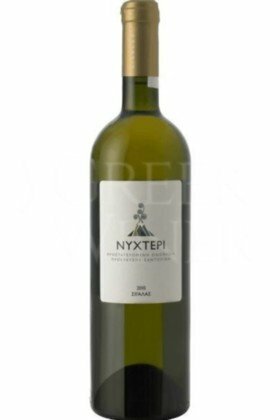 Nychteri, Dry White Wine.Variety Assyrtiko 100%. 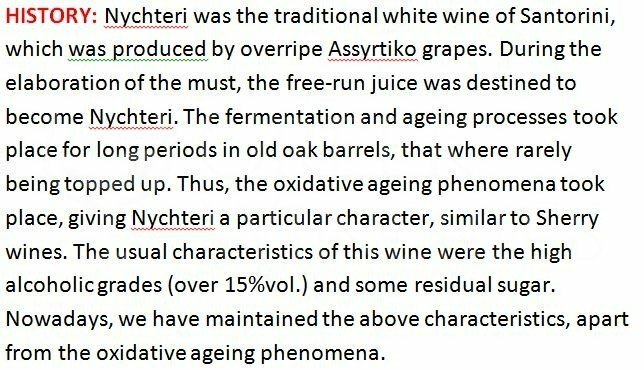 Vinification techniques: Typical, white vinification techniques, where fermentation and ageing take place in old, oak barrels. 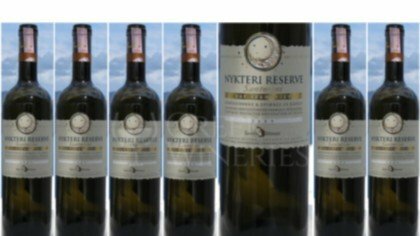 The wine remains on the lees for 30 months. 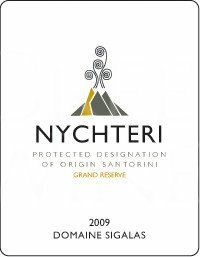 Nychteri is released in the Market after 3 years, under the mention "Grand Reserve". 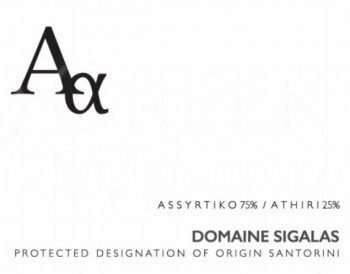 Organoleptic characteristics:Yellow colour, with golden hues. Complex nose, with aromas of ripe citrus, honeysuckle, nuts and pronounced minerality. It is a full-bodied wine, with complex flavours, balance and some residual sugar, which give a special character to the wine. Ageing potential: Over 10 years. 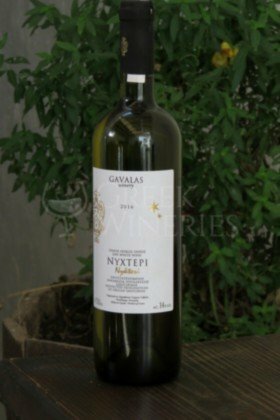 Served at 13 - 15° C..Mildly spiced dishes, sea food and grilled fish. 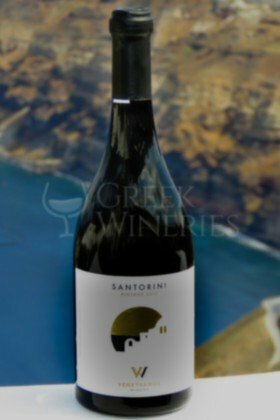 Santorini P.D.O. 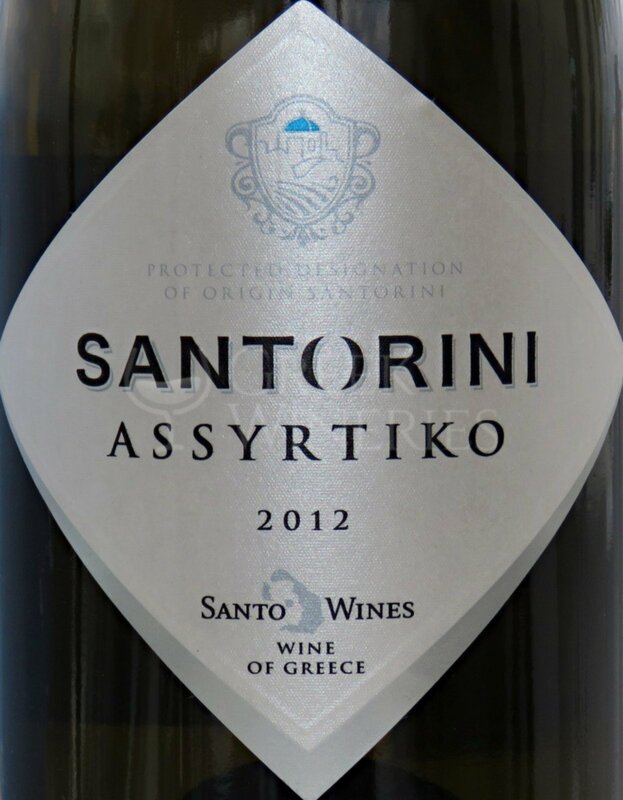 Assyrtiko 100% Straw blonde colour, with light shades of green and a subtle nose of citrus fruit. 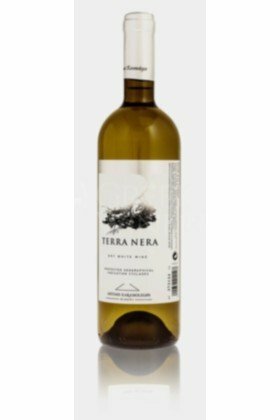 Excellent structure with a depth of flavor and an acidity which brings the flavors to the fore and adds freshness, with a lasting after-taste. 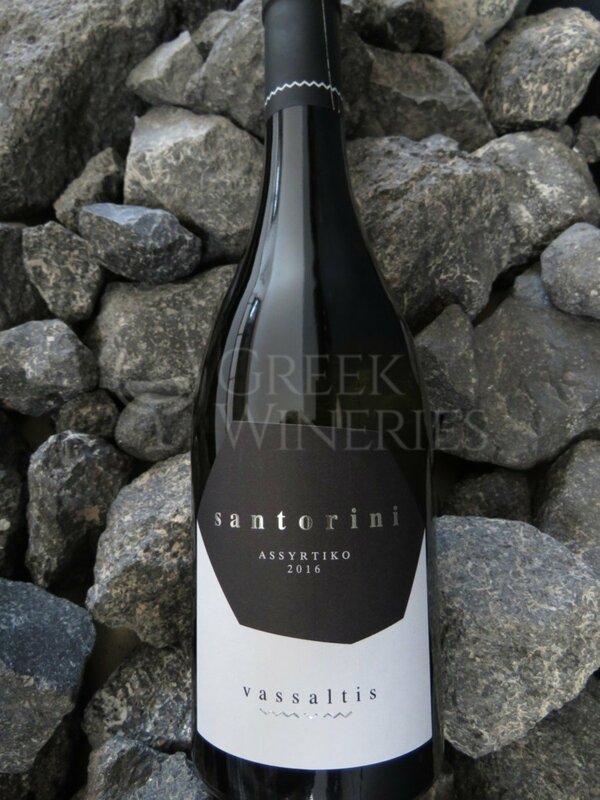 Has the characteristic mineral taste -typical of the variety and the soil of Santorini- at itΆs very best. 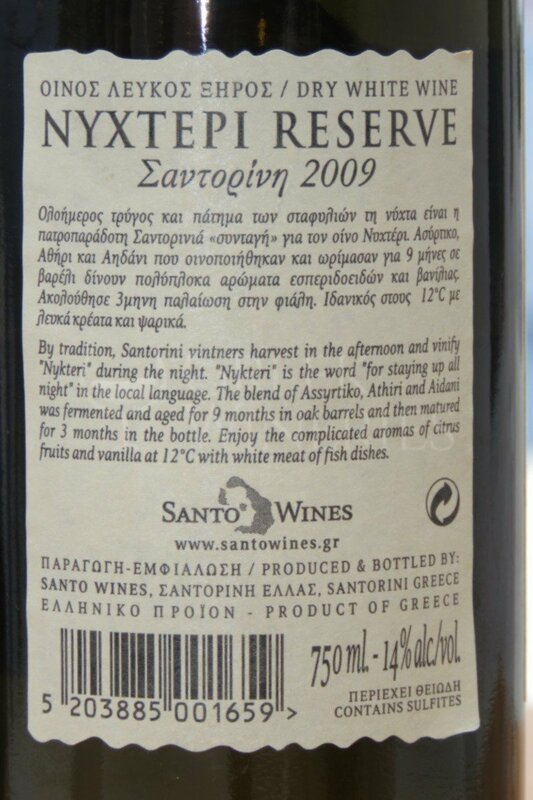 Ageing potential: Over 6 years. 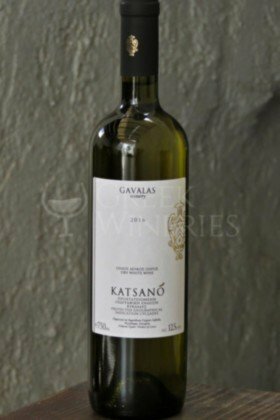 Serving Suggestions: Fish and white meat with light sauces. 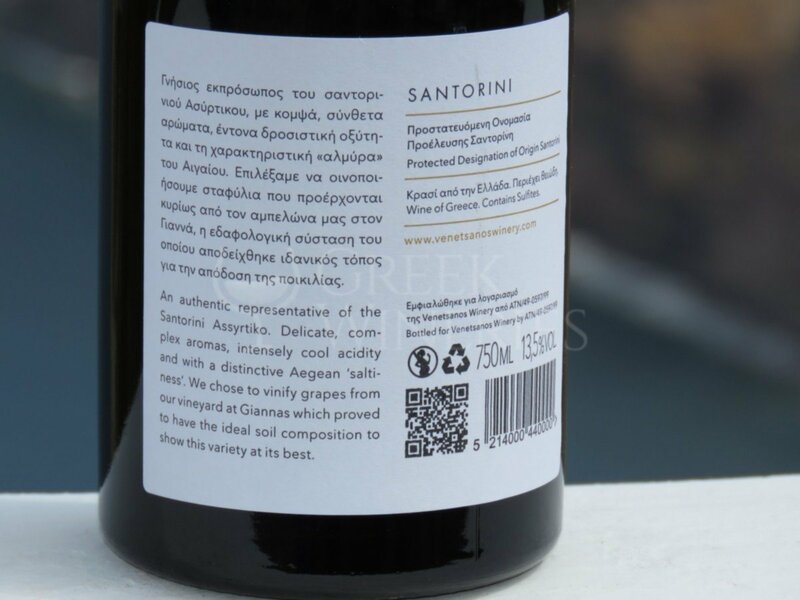 Served at 10 - 11° C. Age of vines: Over 50 years. Aidani Variety 100% aidani P.G.I. 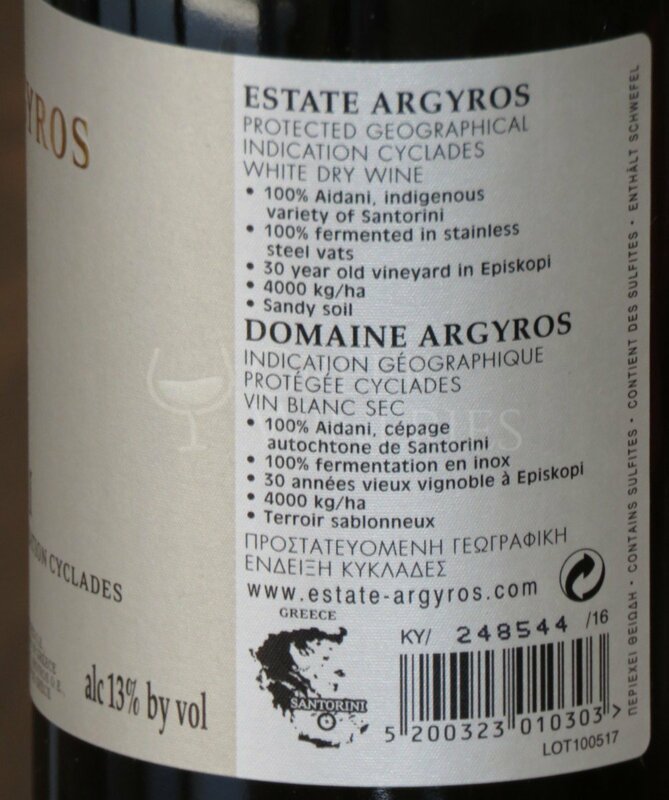 "Cyclades" Vinification: Typical, white wine vinification techniques, in stainless steel tanks, under controlled temperature. Colour: Yellow, with golden hues. 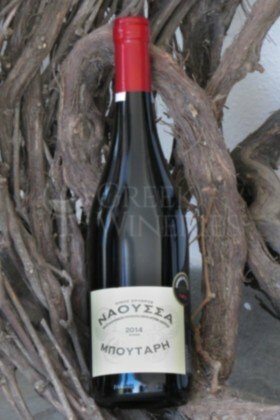 Nose: Aromatic, with hints of tropical fruit, flower blossom and herbs. 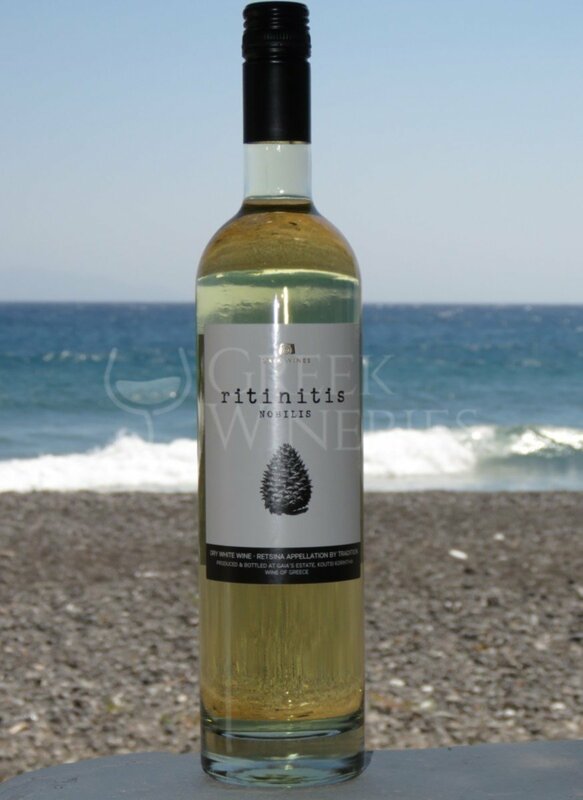 Taste: Delightful, with plenty aromas. 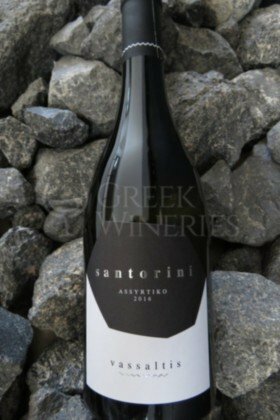 In the after-taste, minerality is evident, as a result of SantoriniΆs unique terroir. 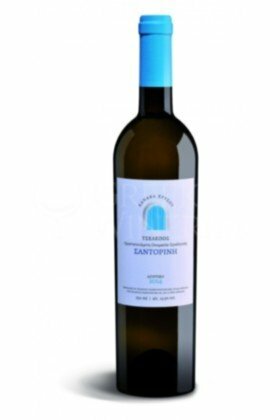 Served at: 10-11 °C Serving suggestions: Fish, sea-food, salads, white meat, risotto, light cheese and fruit. 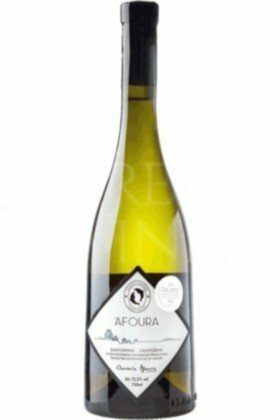 Afoura P.D.O. 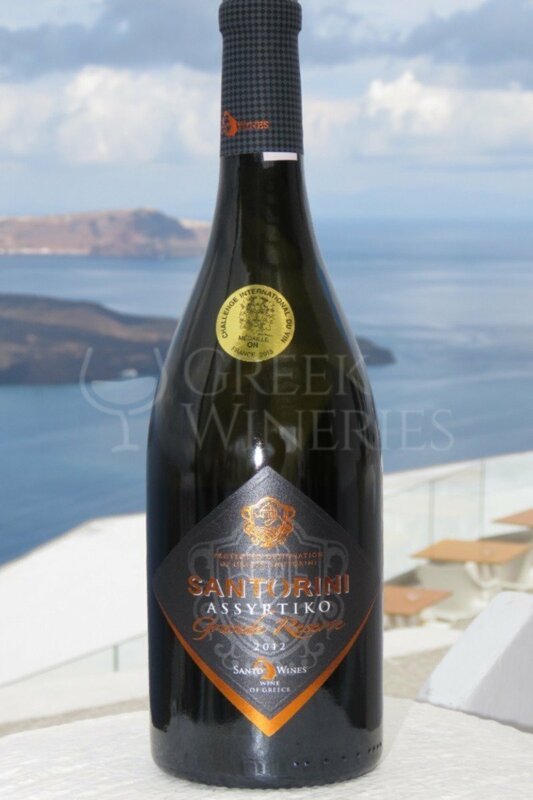 Santorini Assyrtiko 100% The name of the wine has a reference to the large wooden casks of 1000 liters traditionally used in Santorini during wine-making. 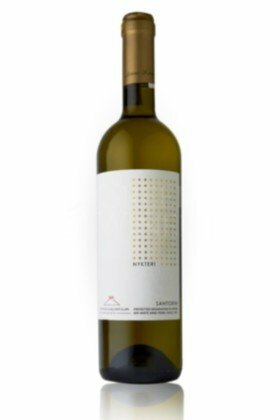 The result is a wine with complex aromatic profile of citrus, flint, honey, bergamot in a broader mineral background with tobacco notes and nuts. 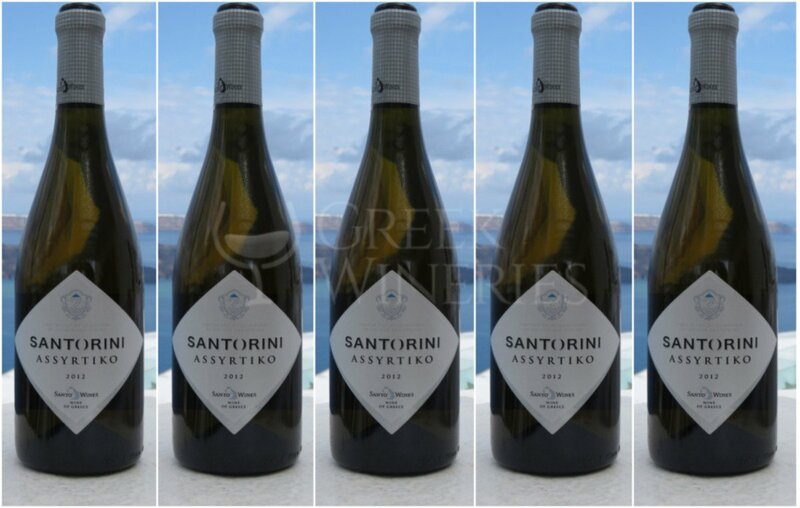 Pure nose, full of minerality and flint which is a typical hint of Santorini’s Assyrtiko. 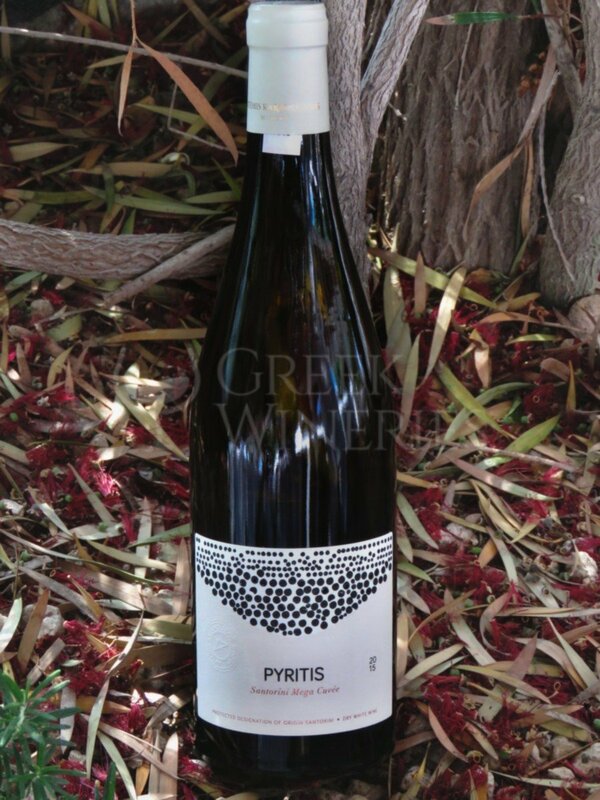 Notes of matured stone-fruits and tart of citrus fruits. 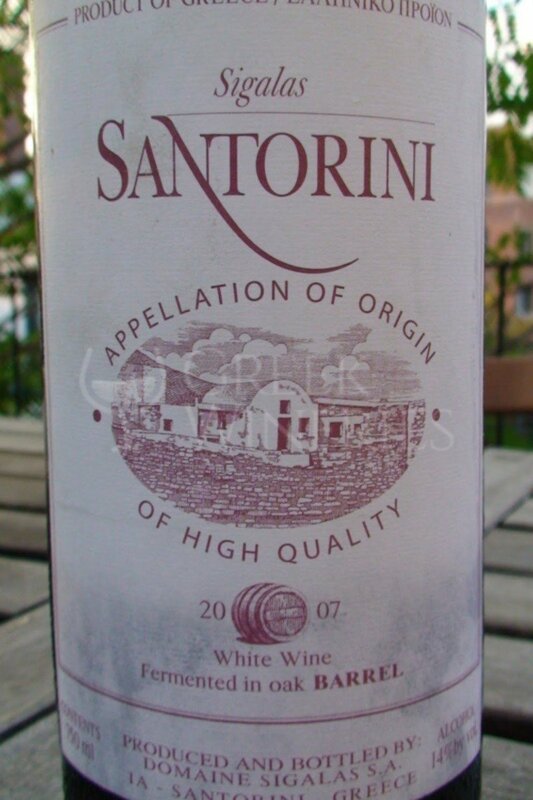 The palate shows considerable depth and genuine concentration, rich and dense with finesse and well balanced acidity. 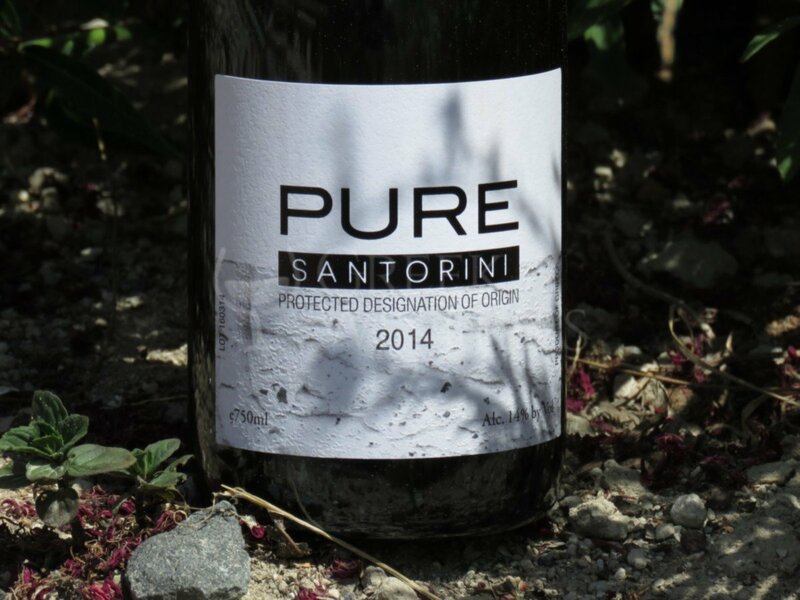 Long aftertaste with saltiness and minerality. 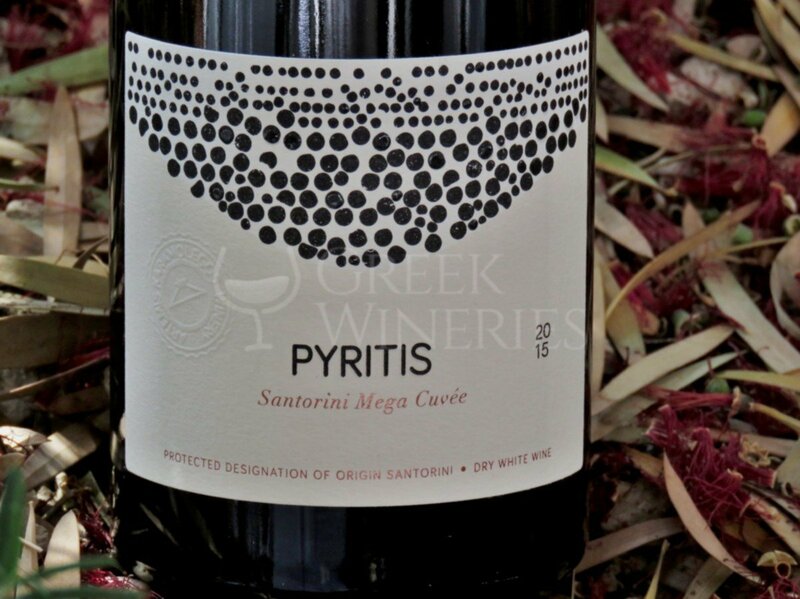 Typical minerality as well as sharp acidity. 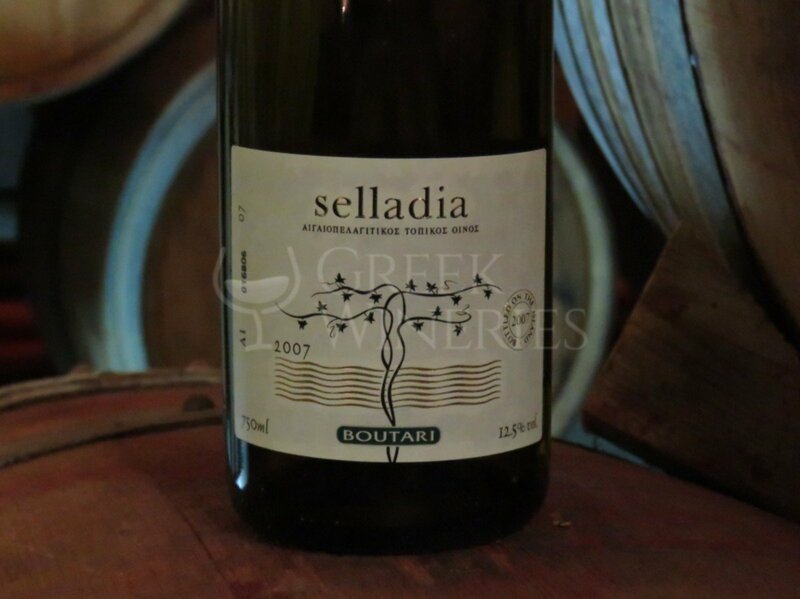 Long aftertaste rotating between mineral and buttery elements. 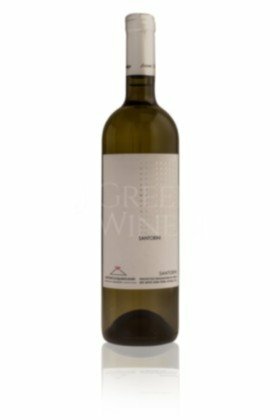 Blanc de Gris Dry white wine P.G.I.Arcadia Variety Grape 100% Moschofilero 10.000 bottles is the wine production Modern technological vinification with the use of prefermation extraction at a temperature of 10o C. The first stage takes place in stainless steel tanks and then the must is transferred to barrels where the fermentation is concluded. 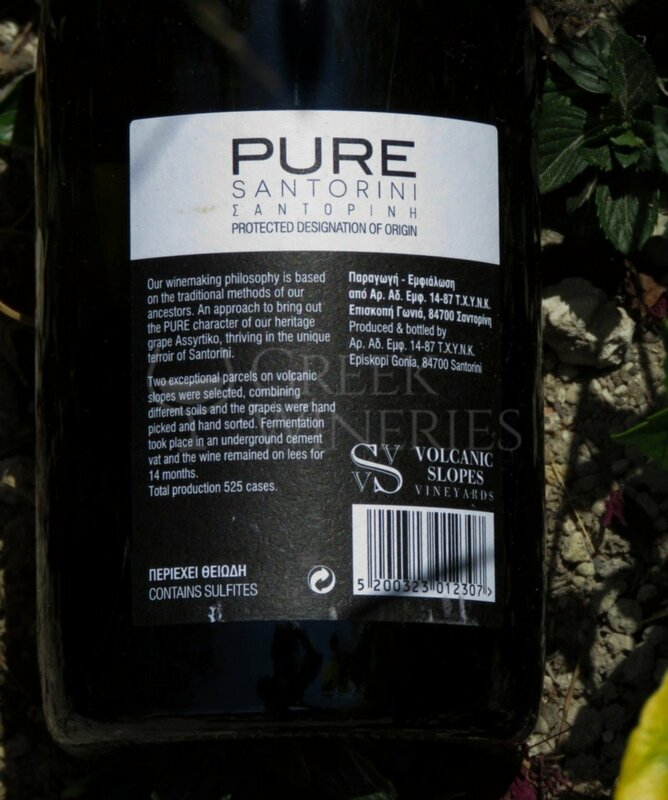 The wine matures on its fine lees. 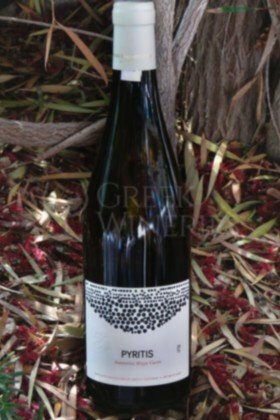 Tasting Notes A greek (Peloponnese) wine with fine aromas of citrus fruits and lemon flowers of great intensity. 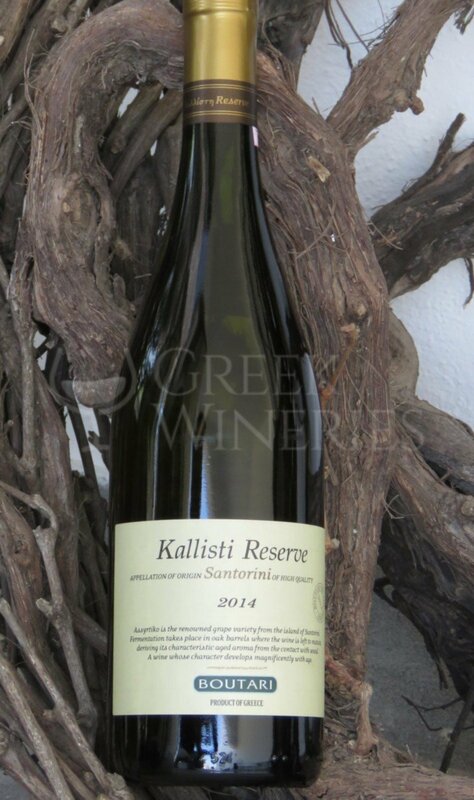 Full bodied in harmonic balance with its acidity. 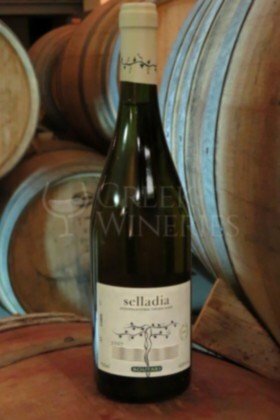 Can be cellared for 3-5 years. 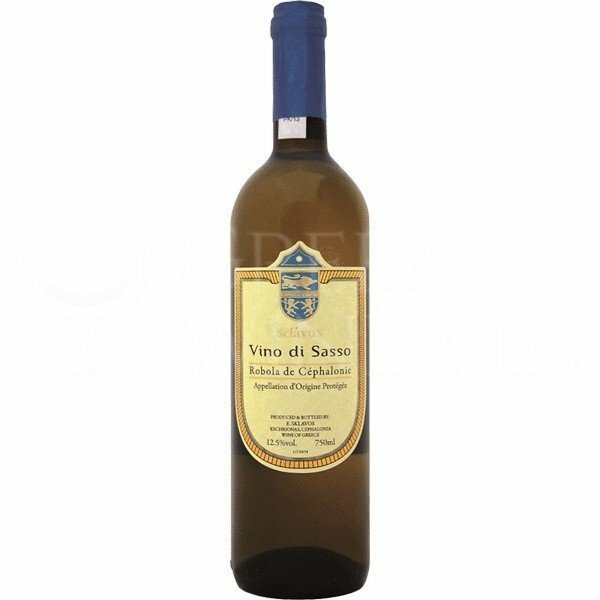 Vino di Sasso, sklavos winery Cephalonia Fermented with indigenous yeasts and following the biodynamic standards of the particular winery. 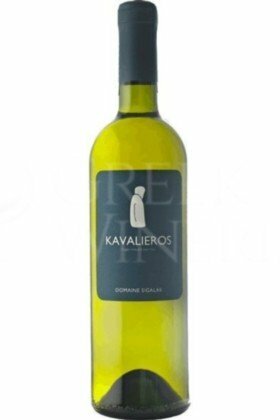 Light yellow color and complex aromatic profile with citrus, flowers and stone fruits like apricot. 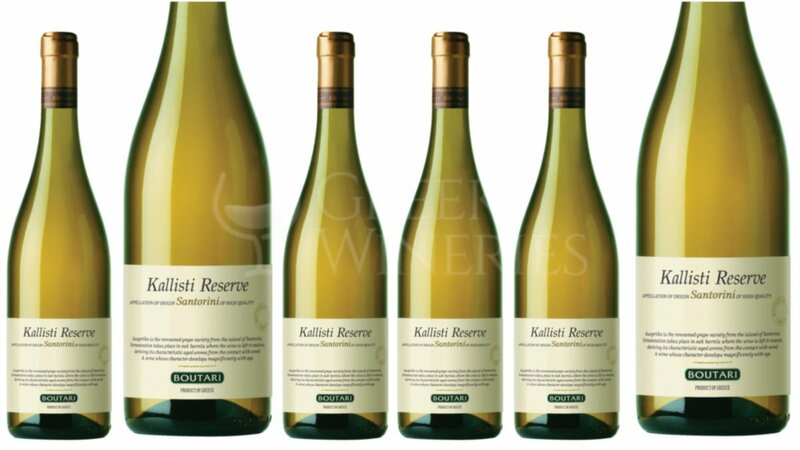 Harmonious and balanced mouthsense with buttery texture and vitality that lasts. 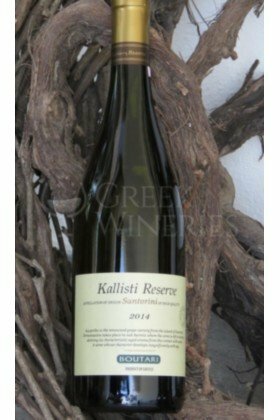 Served at 10-12° C becoming a delicious match with prime grilled fish or shellfish you can pair it with lamb kebabs or even with dishes of the Asian cuisine. 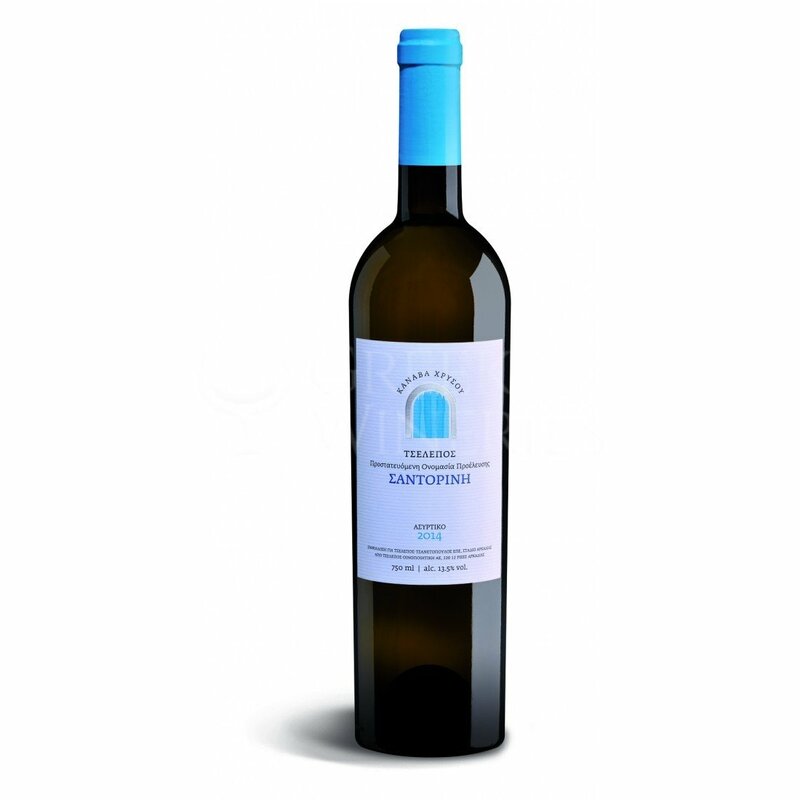 It will also shine with white meat like chicken in the oven and pasta with aromatic herbs. 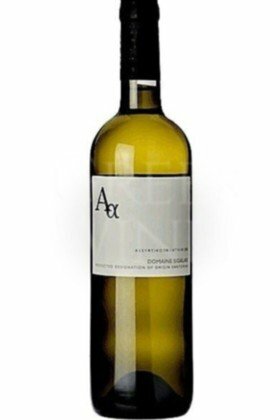 PGI Argolida Viognier 100% white Dry Fermented in new and used (50-50) 225L French oak barriques for 12 months. Short skin contact, full malolactic fermentation and batonnage. 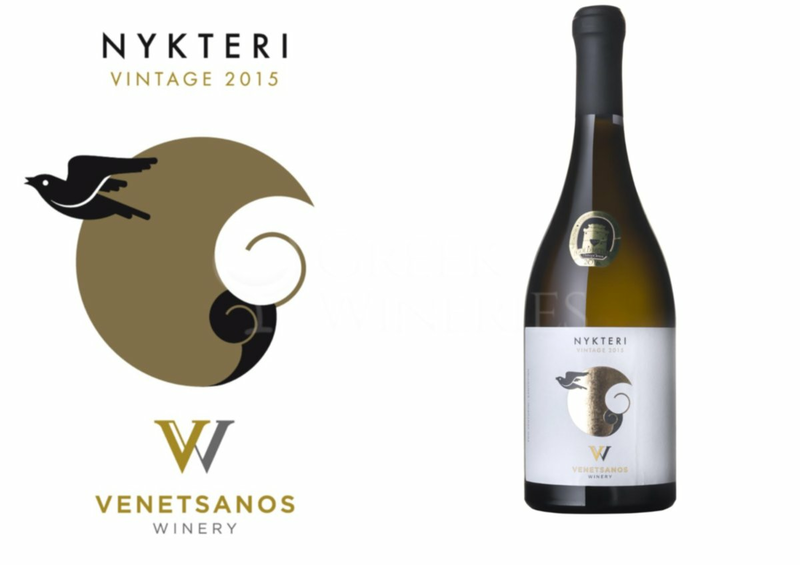 Exotic fruit presence and intensity, integrated oak character. 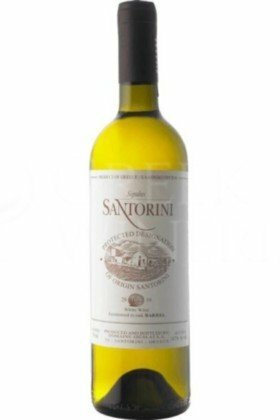 Ripe peach, orange peel, tropical fruits, vanilla, rich, silky mouth. 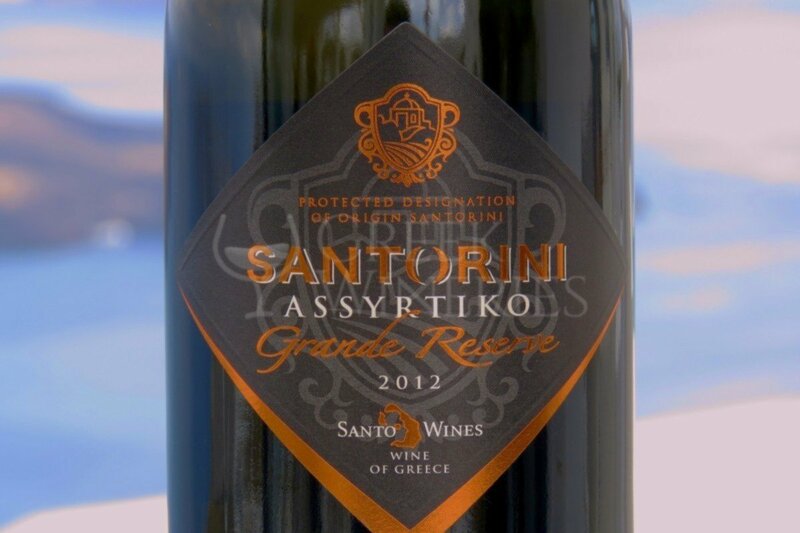 Alcohol 13.50% Tasting notes	Of gold straw color with brilliant highlights. 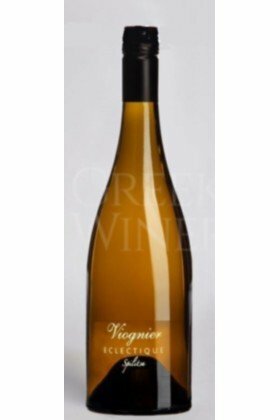 On the nose it is really complex and elegant, expressing the Viognier character beautifully. 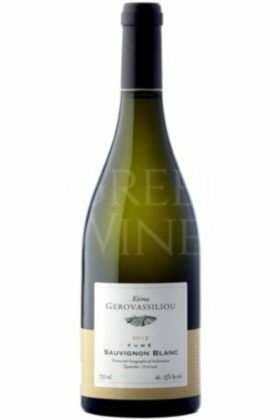 On the mouth it is full-bodied with great texture and crisp acidity. 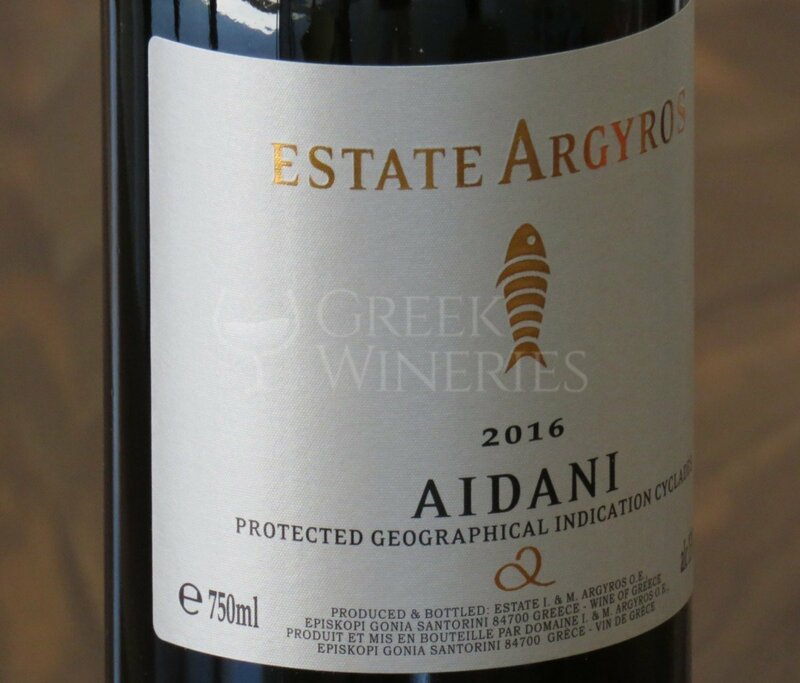 It reveals aromas of ripe peach, orange blossom, citrus rinds as well as tropical fruit.Flavours are consistent with the aromas and the aftertaste is powerful and of such great complexity, it feels as though it will last forever. 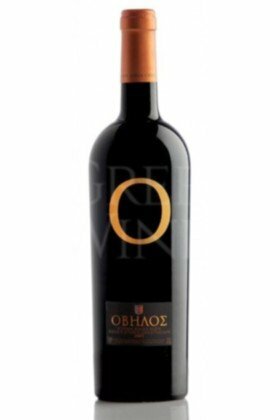 The oak’s characteristics –sweet vanilla and hazelnut– are superbly incorporated into the wine and compose a rich bouquet, while the smell of bread crust indicates the contact with the wine lees. 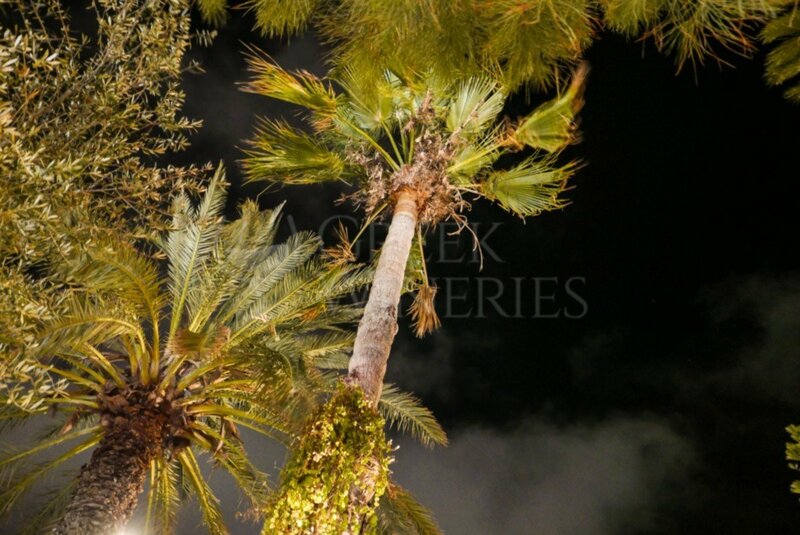 Best served at 12-14oC. 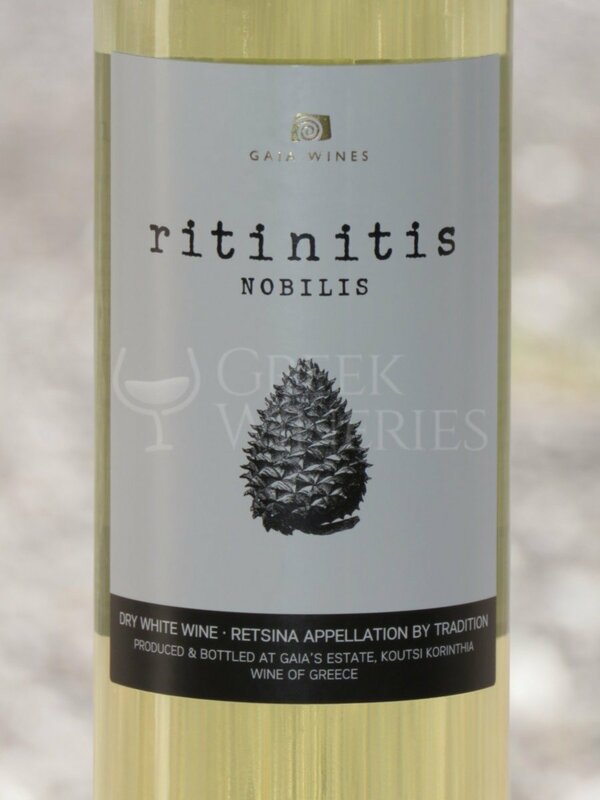 Rinitis Nobilis Redefining Retsina wine in a new quality context, we have meticulously selected grapes of Roditis variety which grows on the hills surrounding Nemea, in Korinthos. 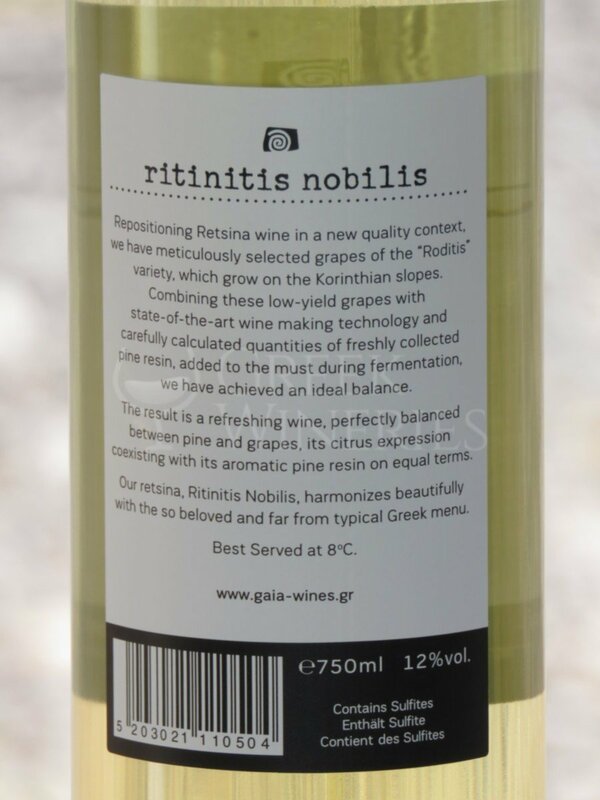 Combining these low-yield grapes with state-of -art wine-making technology, and a carefully calculated quantity of resin from the Pinus Halepensis variety of pine tree, we have succeeded an ideal balance. 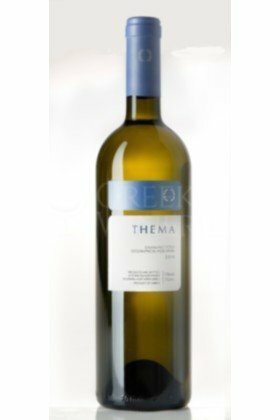 The result is new Retsina wine with a color of white yellow and green shades. 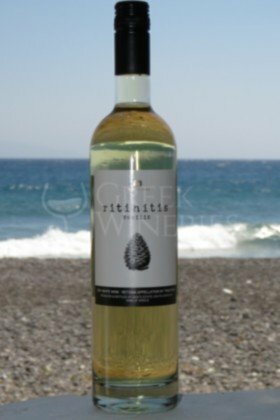 A refreshing wine balanced perfectly between pine and grapes, its citrus expression coexisting with its aromatic pine resin on equal terms. 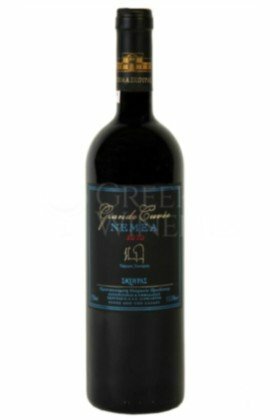 Pair it with cuisine of medium or even high intensity or on its own as an aperitif. 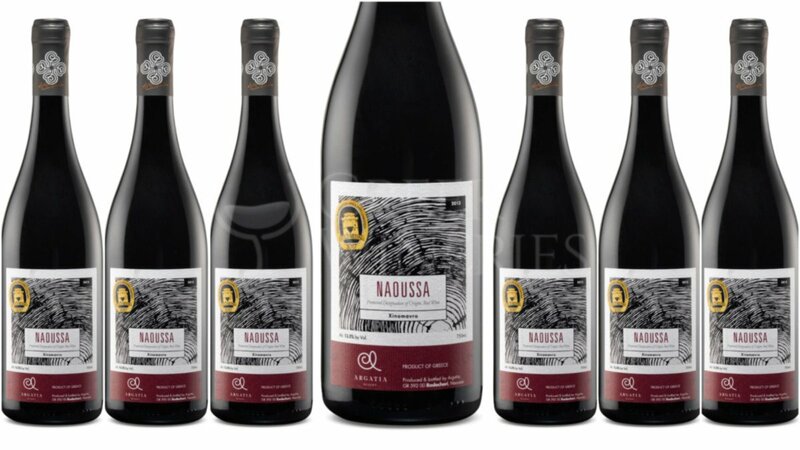 A youthful wine, which you can enjoy even during the warm summer months at a low temperature 10°-12 ° C.
PDO Naoussa 100% Xinomavro The first Greek red bottled VQPRD wine to enter the Greek market, constituting a landmark for red wines in Greece. 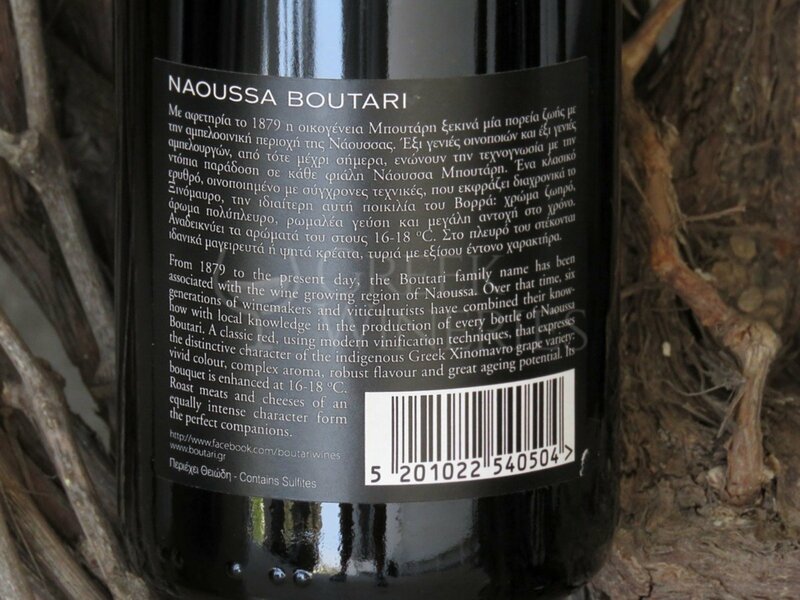 For 6 generations 12 months in oak barrels AEGING POTENTIAL: 8-10 years Typical, classic wine of Naoussa. 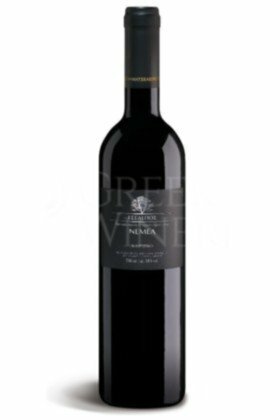 Deep red colour with an intense personality. 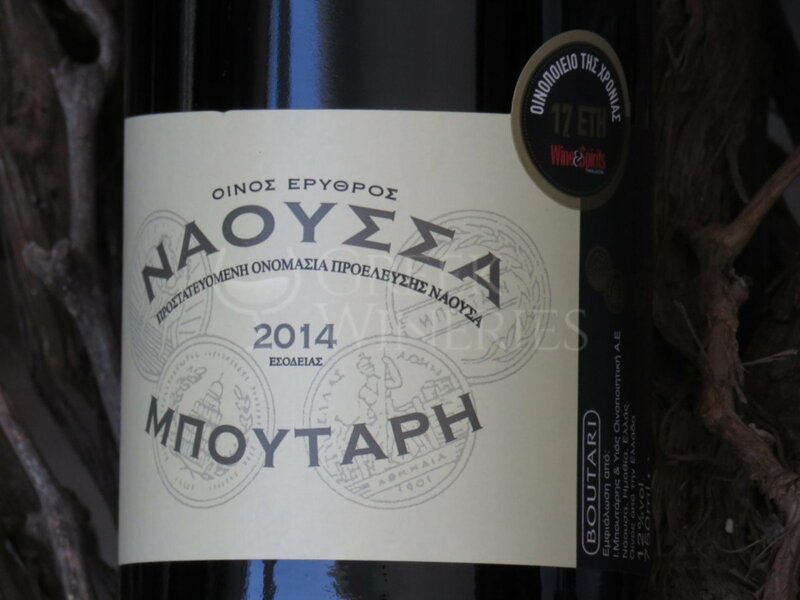 It produces a rich bouquet of ripe red fruit, blackberry and plum, together with sun-dried tomato and the aromas derived from ageing, cinnamon and wood. 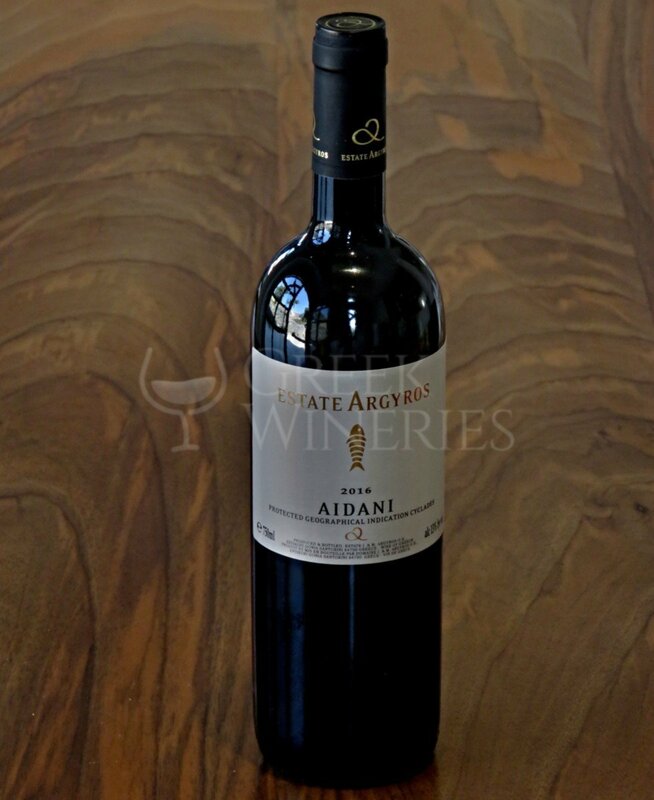 A rich body, good balance and structure, soft tannins in its finish. 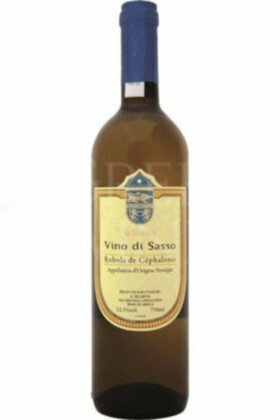 Best served with red meat dishes, pasta with red sauces and with yellow cheeses. 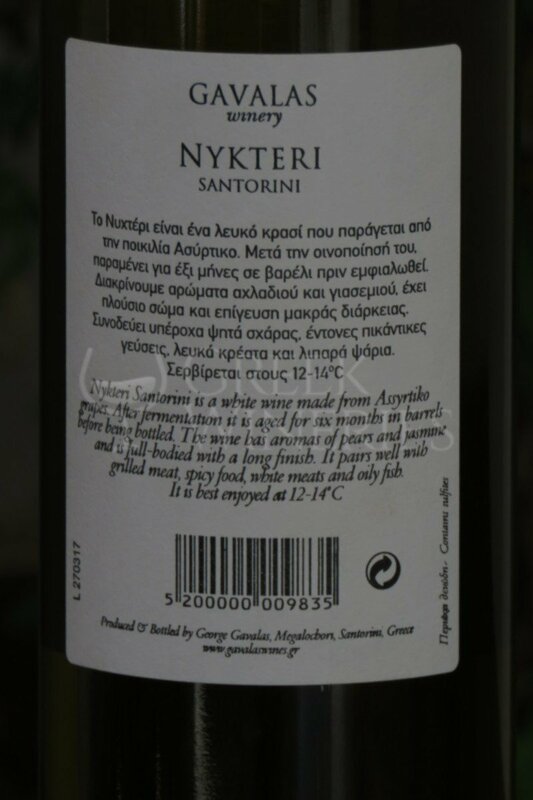 Served at 16-18 °C. 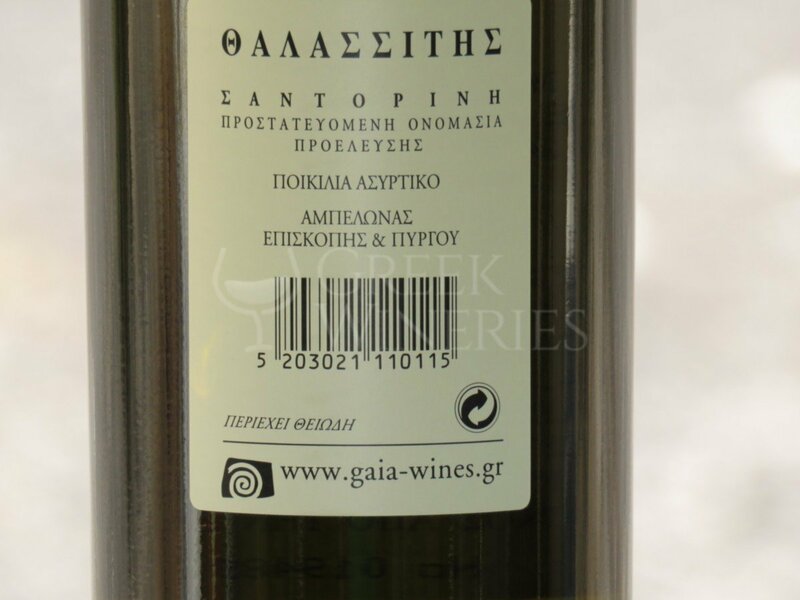 Agiorgitiko Gaia Variety Agiorgitiko 100% P.D.O Nemea Rich and structured, it is balanced between fruit and the oak wood. 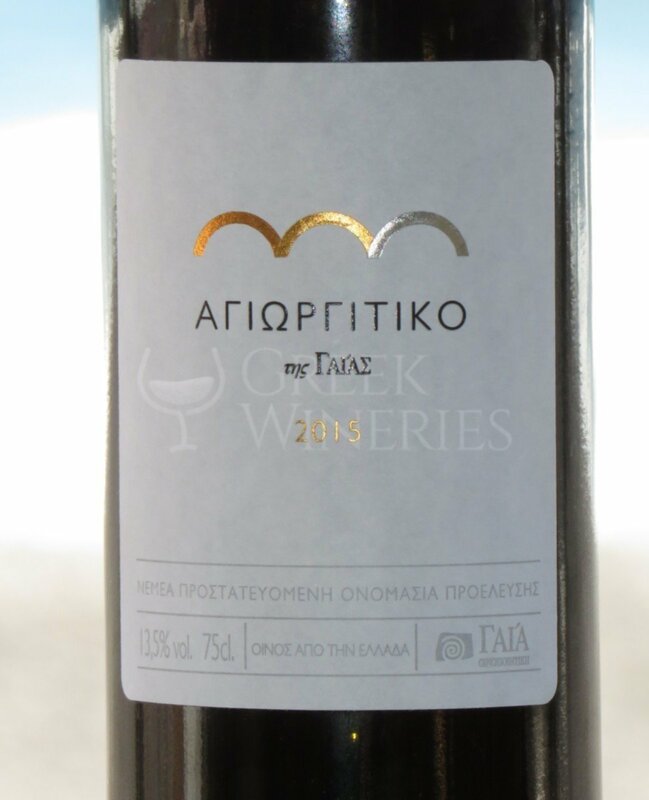 Characterized by ripe fruit notes and balanced oak flavors our Agiorgitiko by Gaia can be aged 2-4 years after release and will evolve a velvety and complex wine. 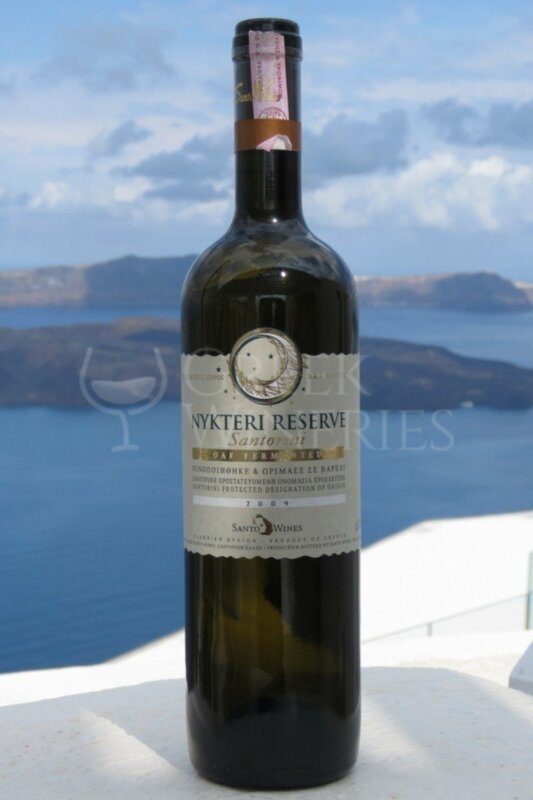 It can be aged for 4-6 years to acquire a more complex flavor, and an even more velvety taste. 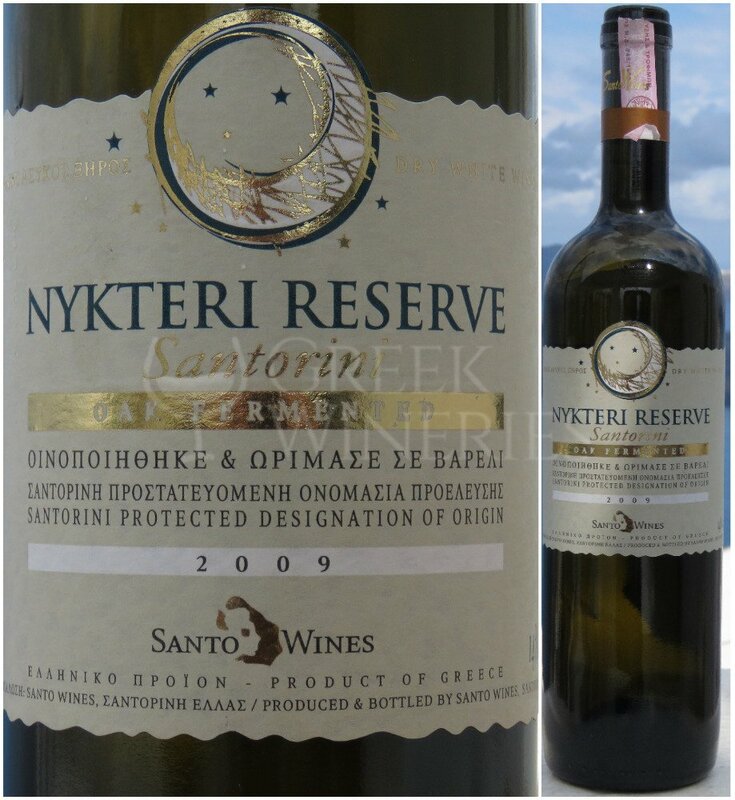 We recommend pairing it with red meat dishes that are rich, intense and spicy, at a temperature between 16ο – 18οC. 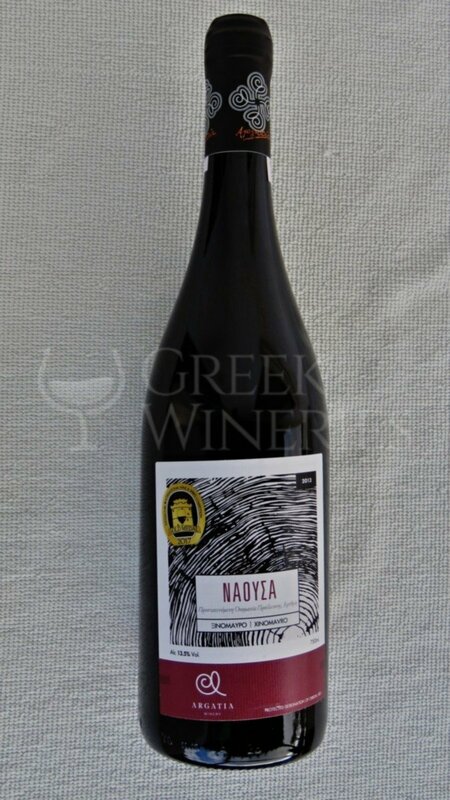 Red dry-P.D.O.Nemea variety Aghiorghitiko 100% Full malolactic fermentation in oak and maturation in new French barriques for 12 months and in bottle for a further 6 months. 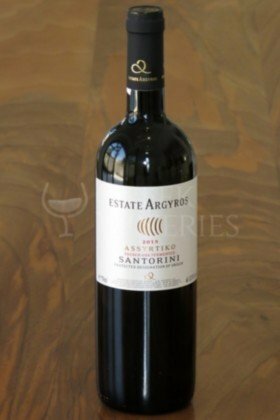 Red fruits, blackberries, plums, spices, a metallic tone, vanilla, accented acidity, ripe tannins, plethoric mouth. 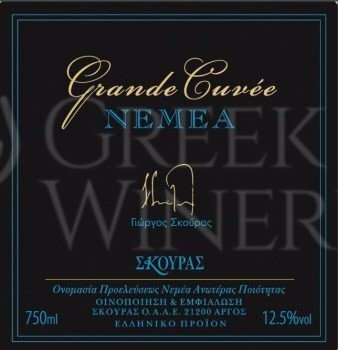 Alcohol :	13.5%. 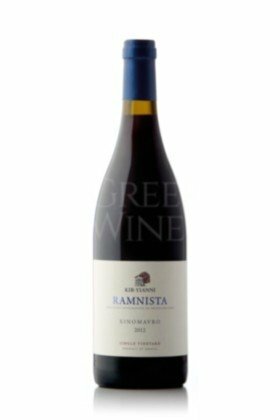 Aromas are focused on the red fruit such as morello, blackberries and red cherry coupled with dried herbs, spicy aromas and a mineral touch. The color is bright, deep and clear ruby-red. 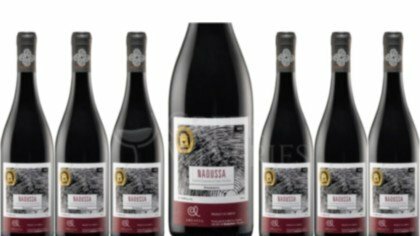 On the nose it is dense with strength and power. 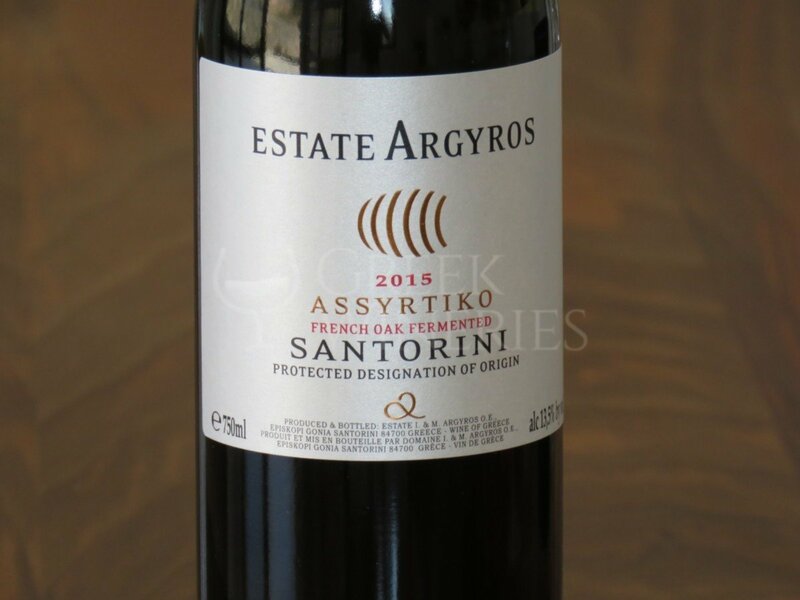 Flavors of red fruits, earth and minerals along with tobacco and spices are apparent. 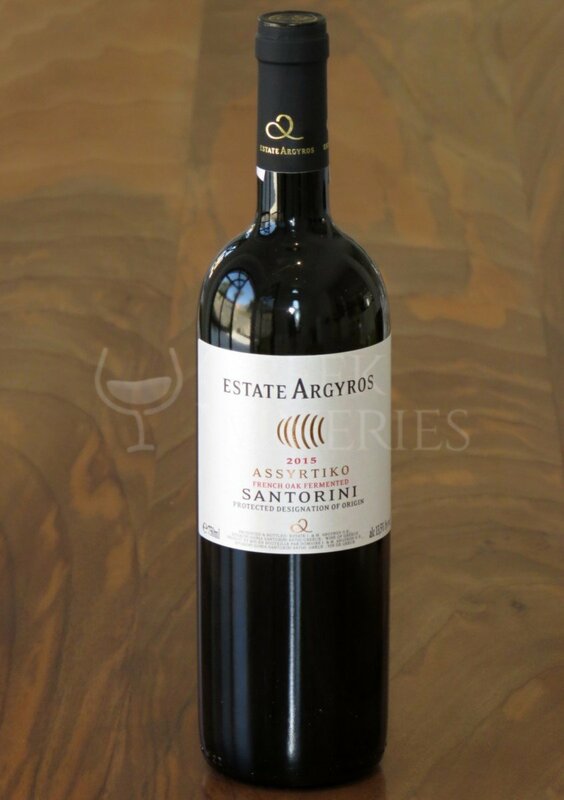 On the mouth it has medium-plus body with an intriguing acidity and very qualitative tannins. 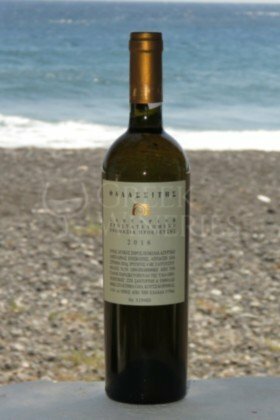 The aftertaste is long and complicated with constant evaluation. 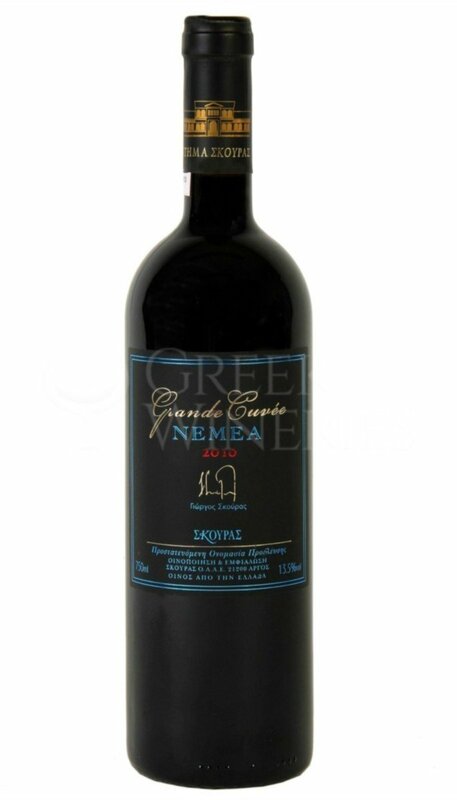 Red dry P.D.O.Nemea - Driopi Classic Variety 100% Agiorgitiko Classic red wine vinification. 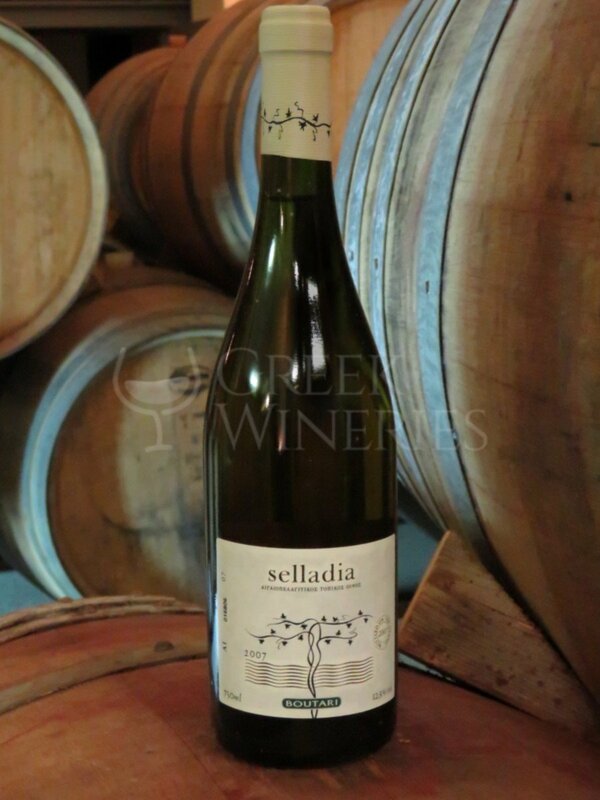 8-10 months aging in oak barrels. 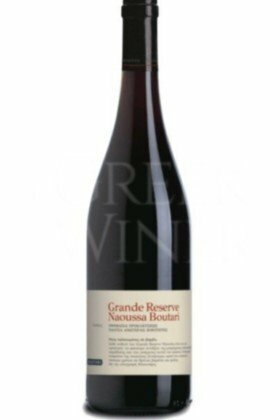 Tasting Notes Ready to drink upon release, it features generous aromas of red fruit and dried nuts, with a long, velvety finish. 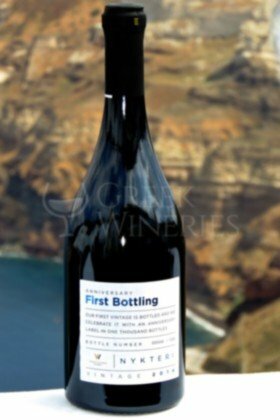 Can be cellared for an additional 3 to 5 years. 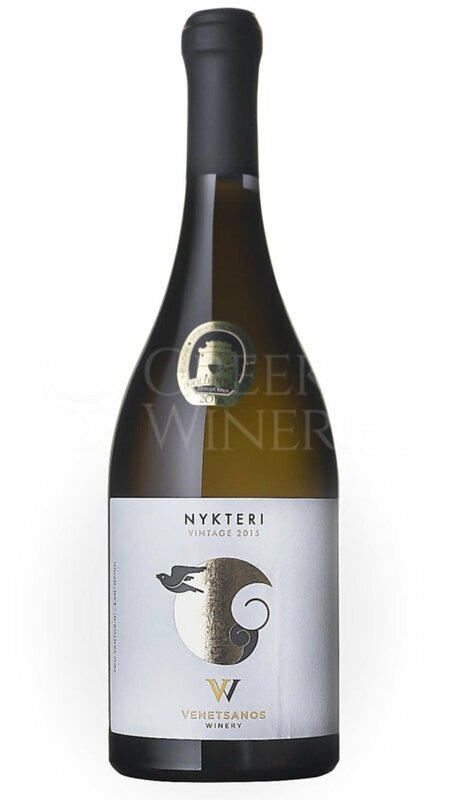 .Serving Temperature 16-18C Food Pairing: Red meat, game, pasta with creamy sauce, cheese platters. 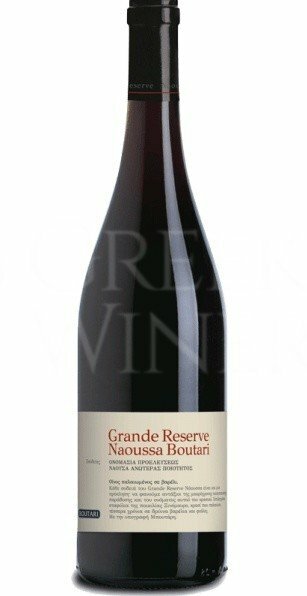 Red P.G.I. 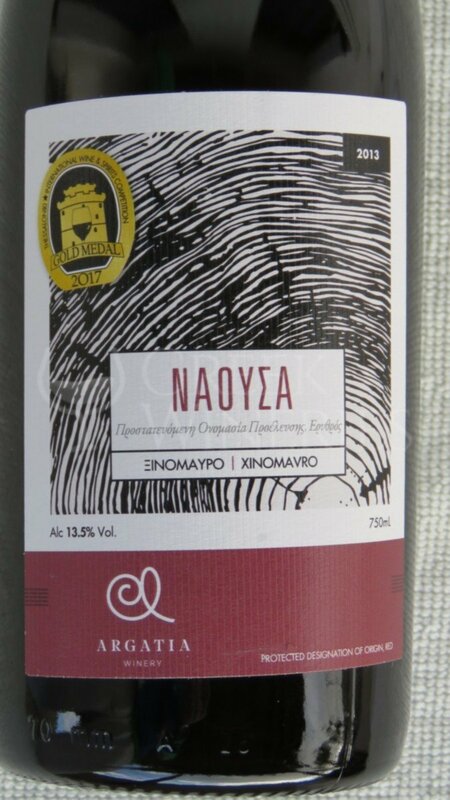 Epanomi Varieties: Syrah, Merlot and Limnio Aged for about a year in French oak barrels. 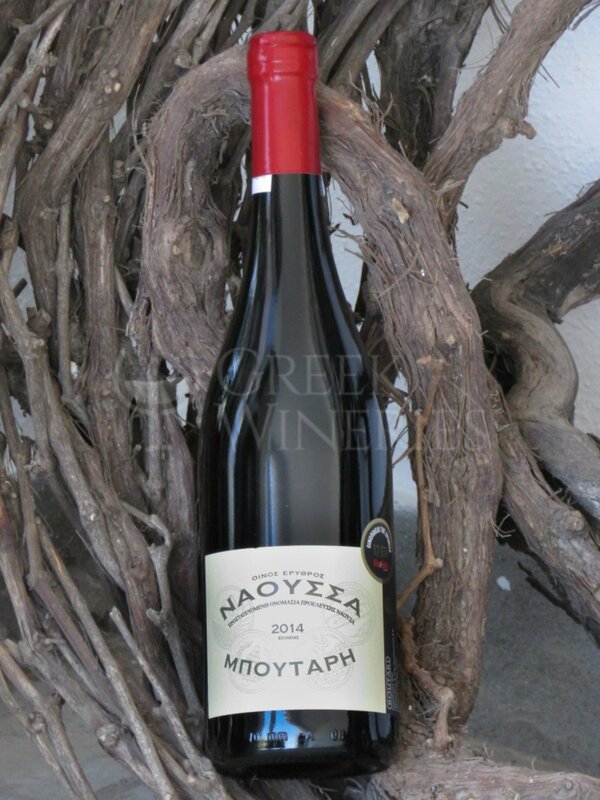 Bright ruby red with a complex bouquet of spices and ripe dark fruits (plum, cherry, etc.). 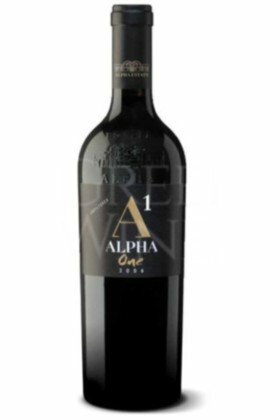 On the palate the wine offers gentle tannins enhanced with an abundance of fruit intensity, creating the impression of strength and balance. 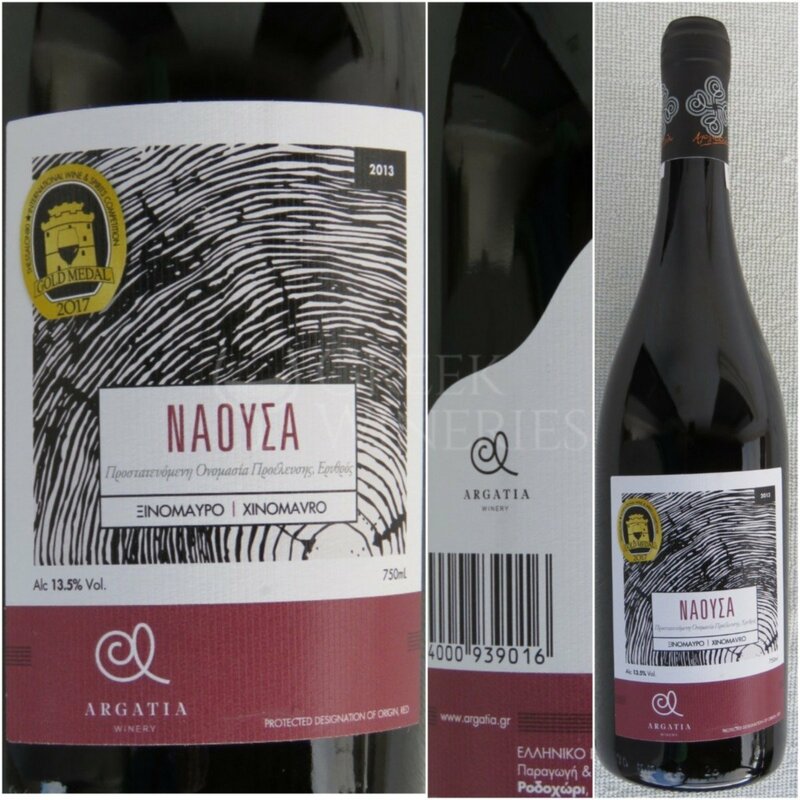 Persistent aftertaste with a repetition of its spices. 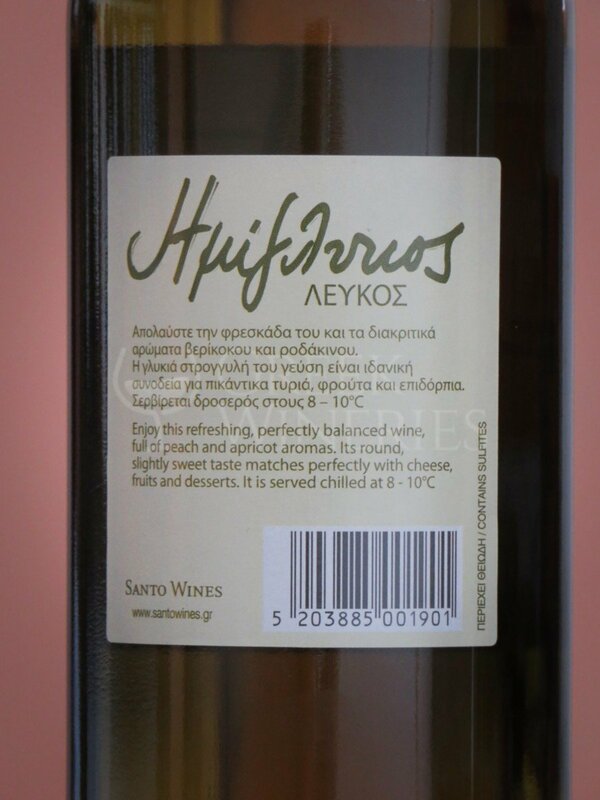 served at 16–18 °C. 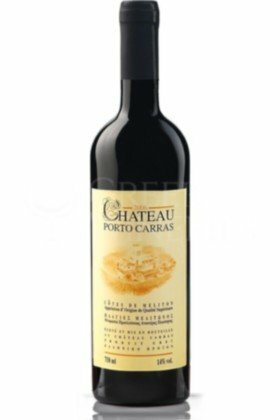 Food pairing Pork, grilled red meats, roasted poultry dishes, and game accompanied by red sauces, mature cheeses. 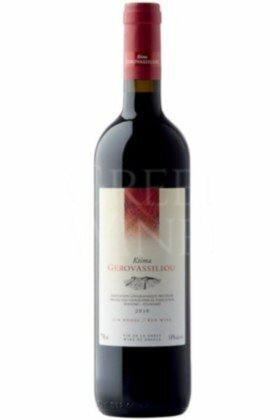 Variety:Xinomavro 100% Ageing: In French and American 225 l oak barrels for 14 months Alcohol 13,3%, Deep color wine with intense fruity aromas (cherries, small red fruits) that interlock with those of jam, tomato paste, olives, tobacco and spice notes.Deep cherry color, nose of cherries, small red berries, dry tomato, slightly earthy notes, the typical sweat and complex aromas of Xinomavro.Body filled with very good structure and intense aromatic aftertaste that lasts. 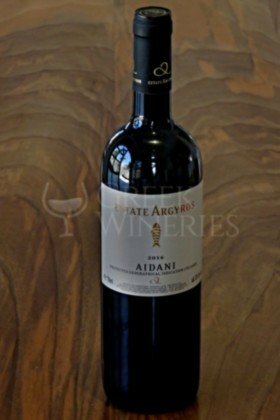 Mouth feeling of fruits and earthy notes, well combined with mature tannins and nice acidity.